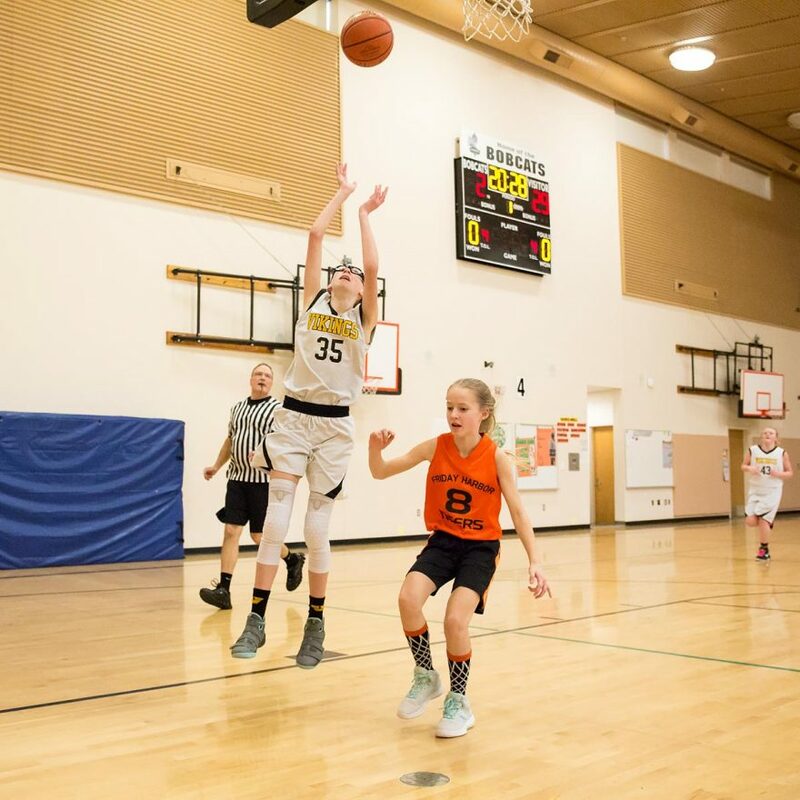 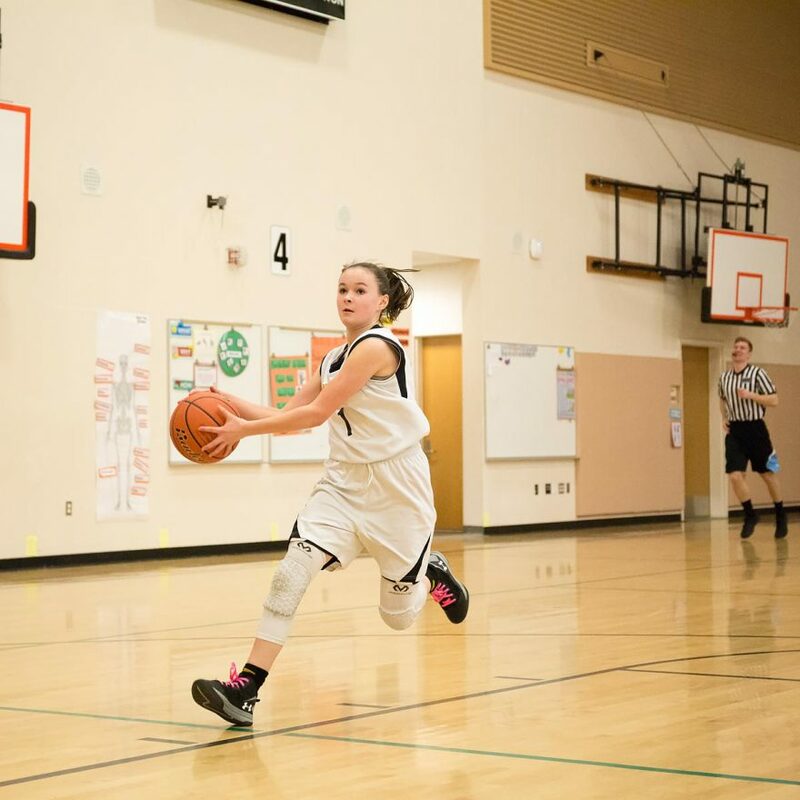 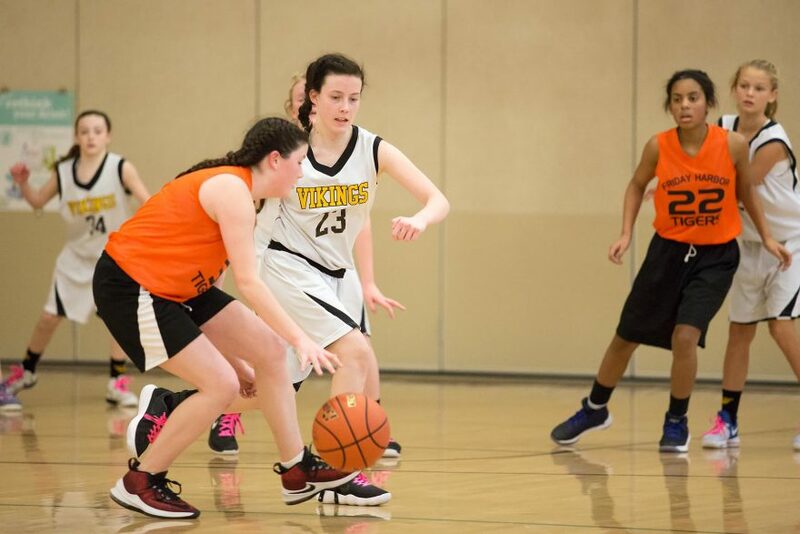 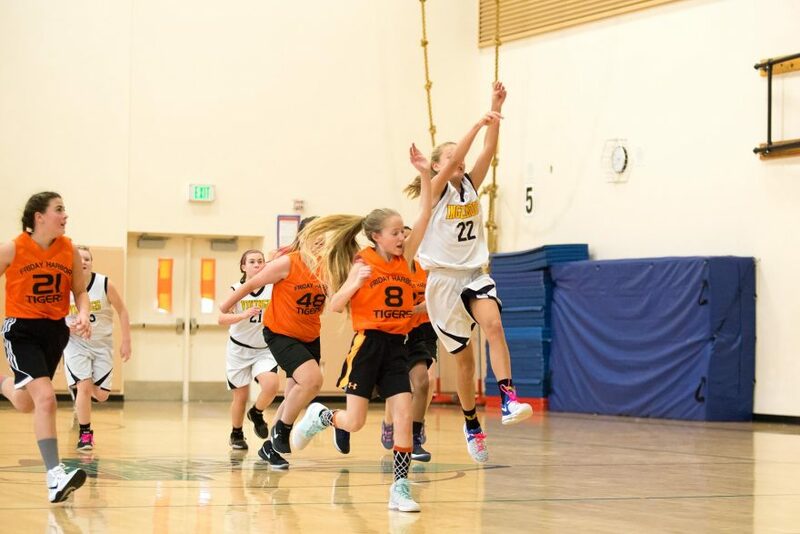 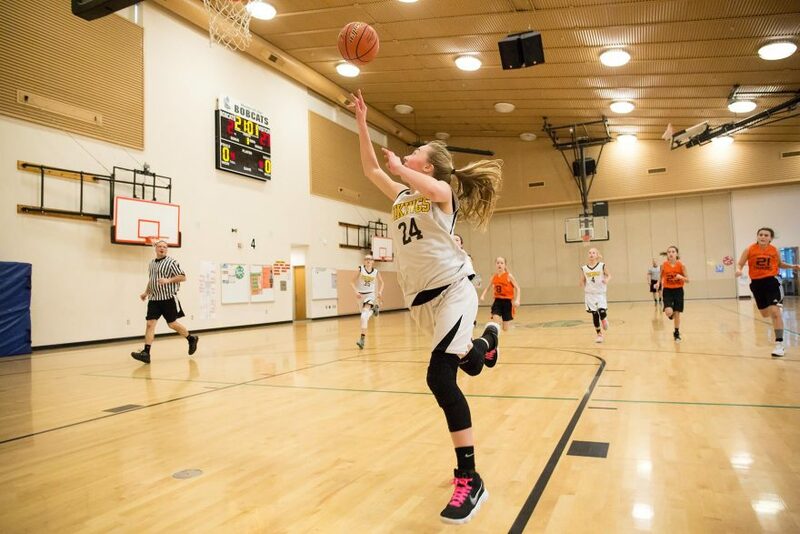 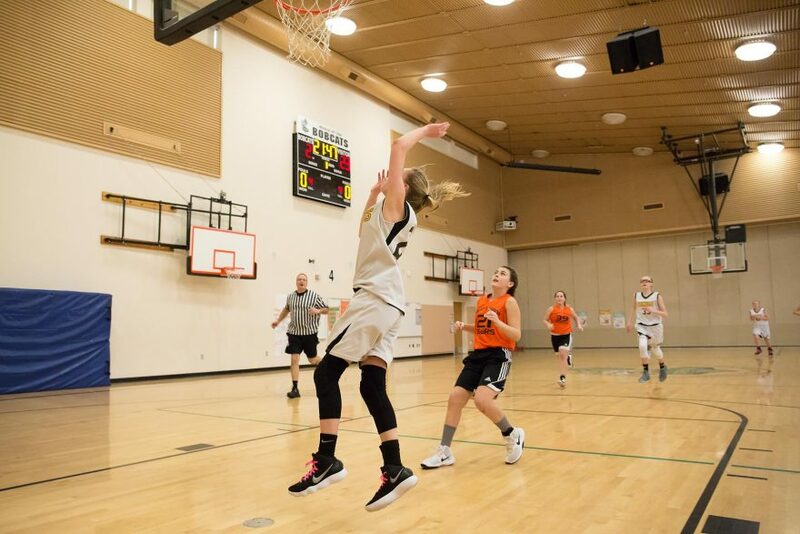 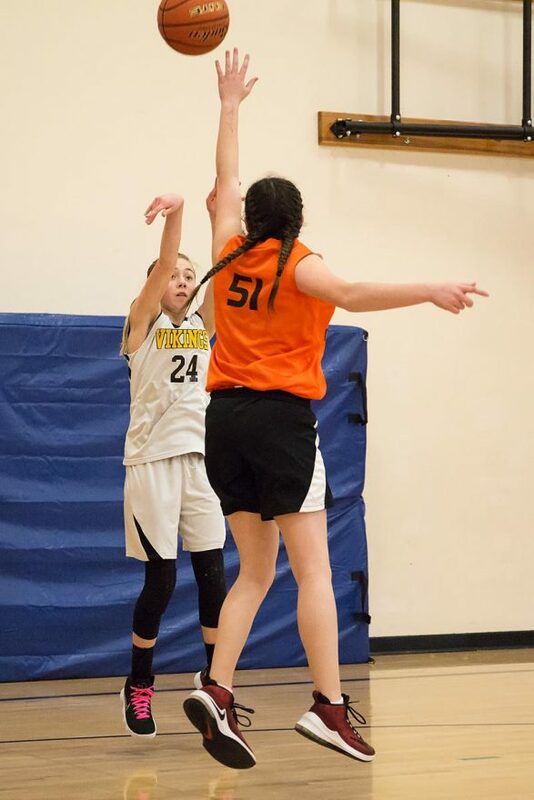 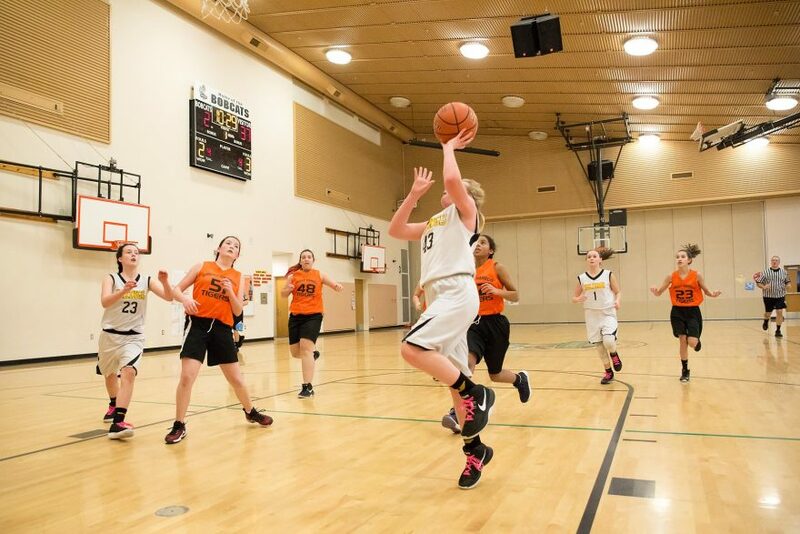 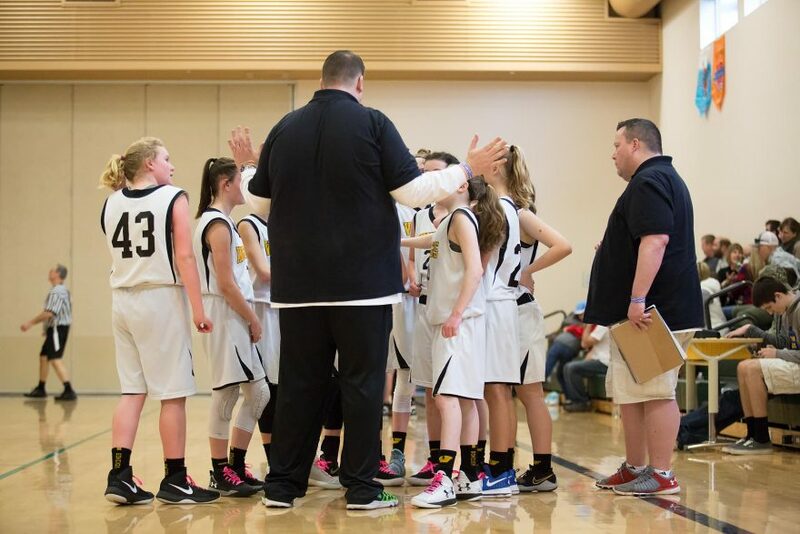 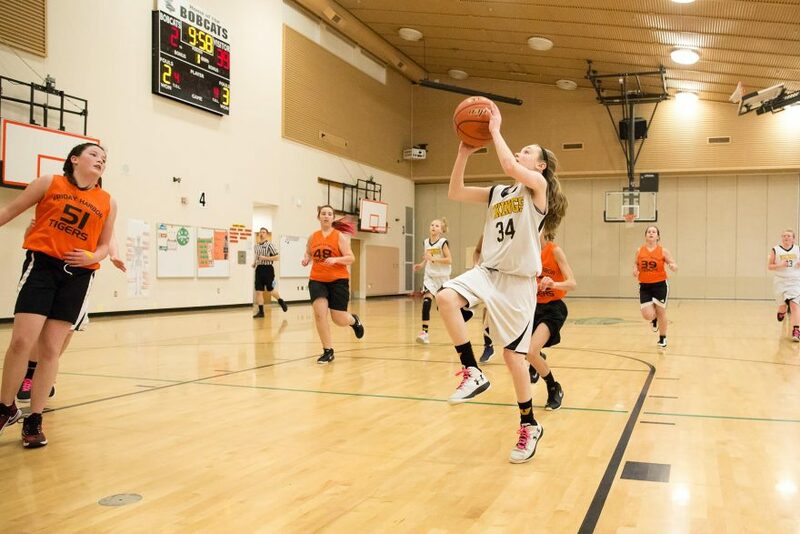 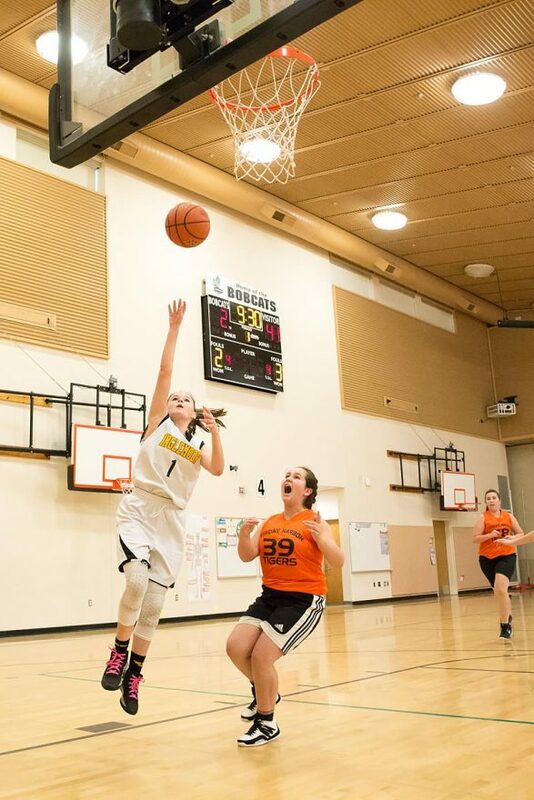 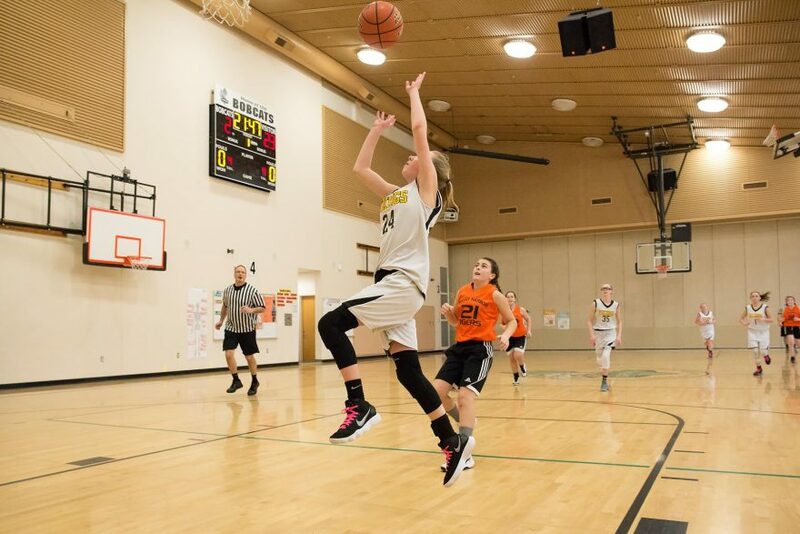 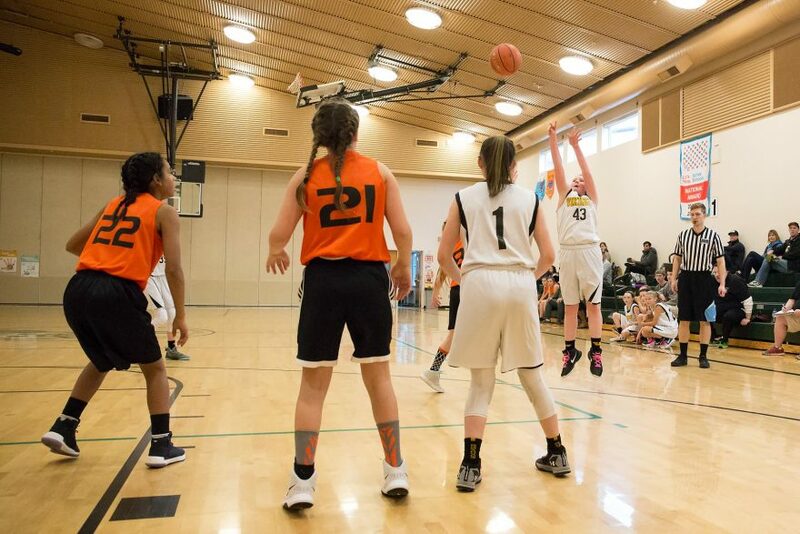 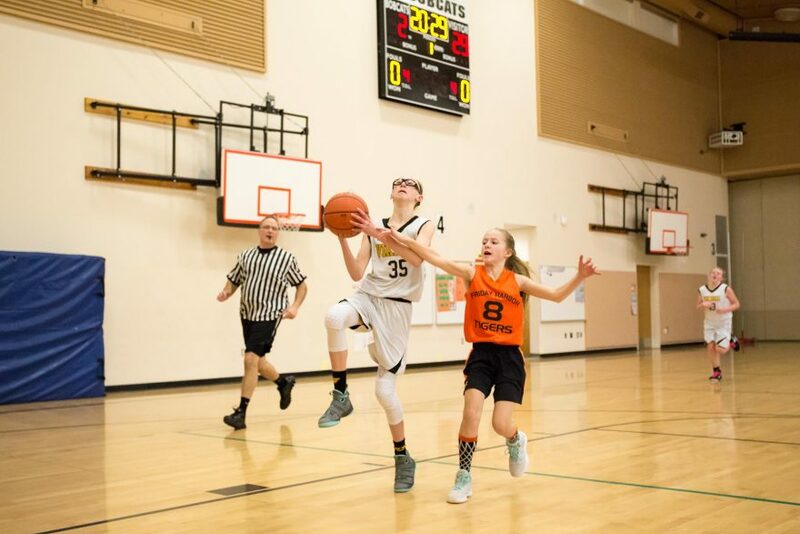 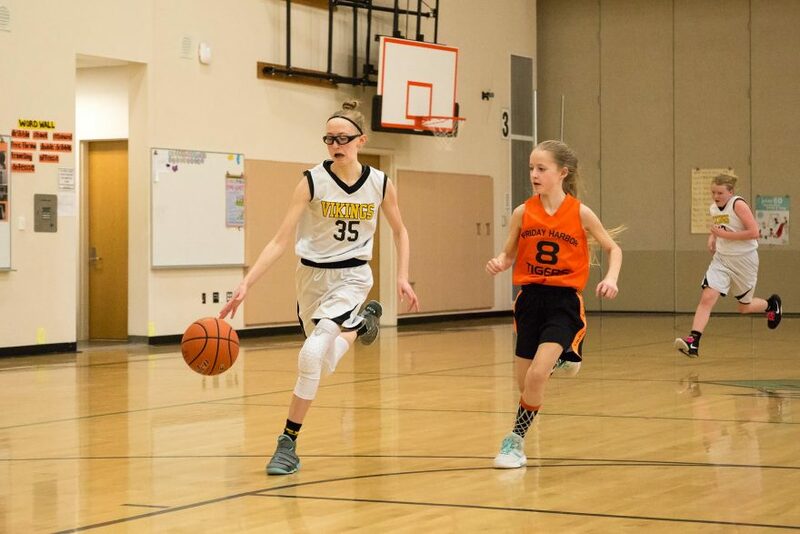 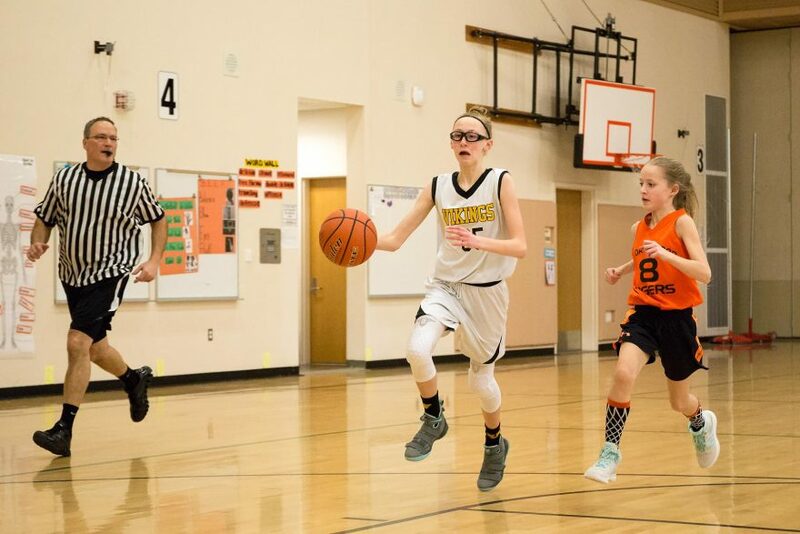 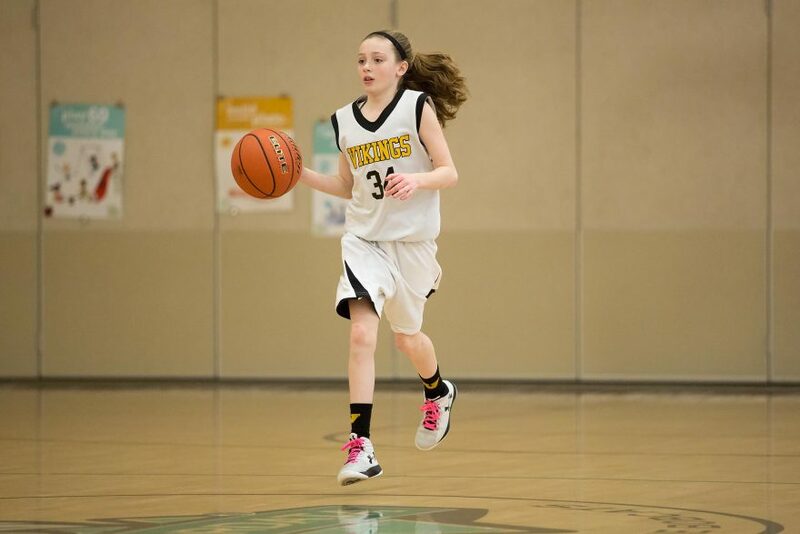 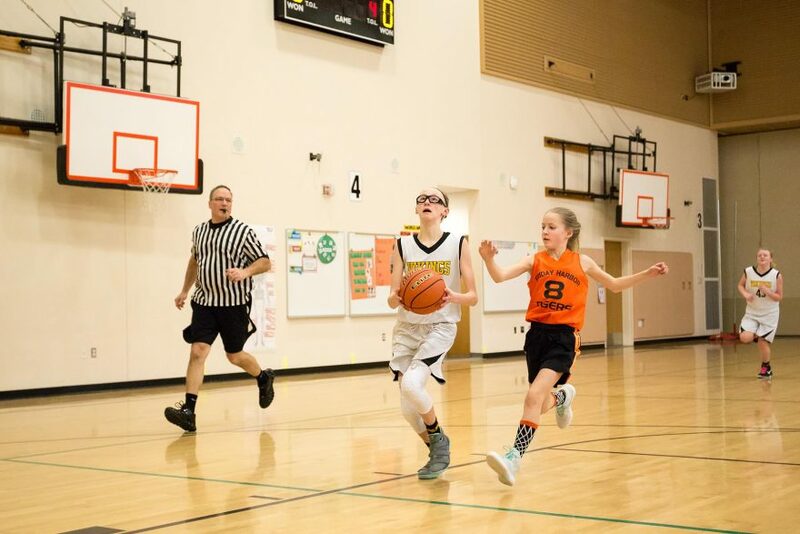 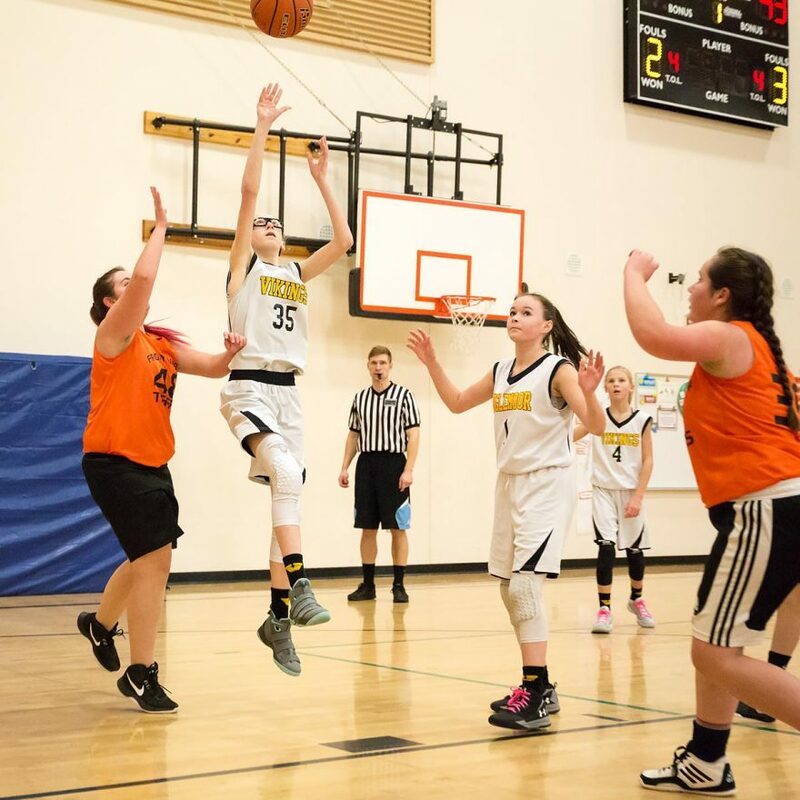 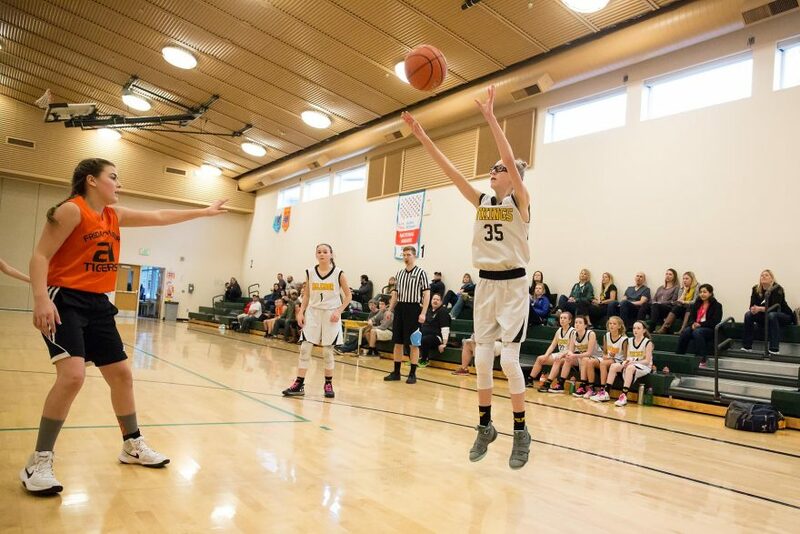 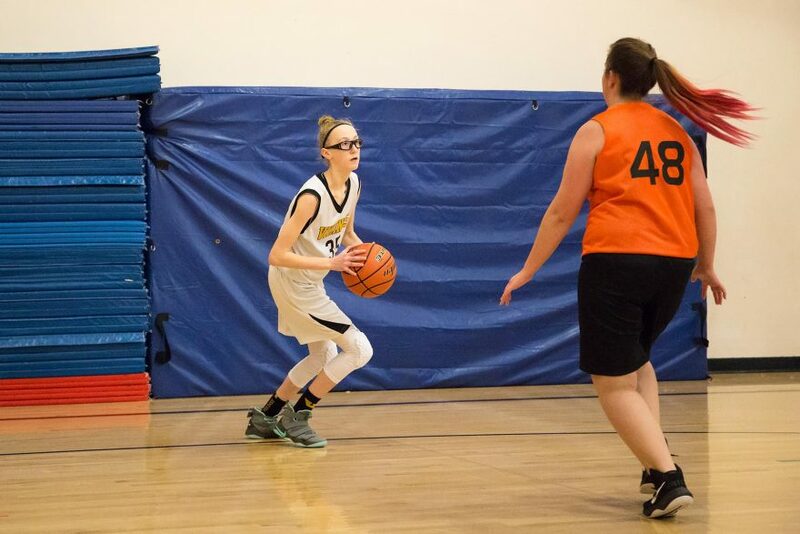 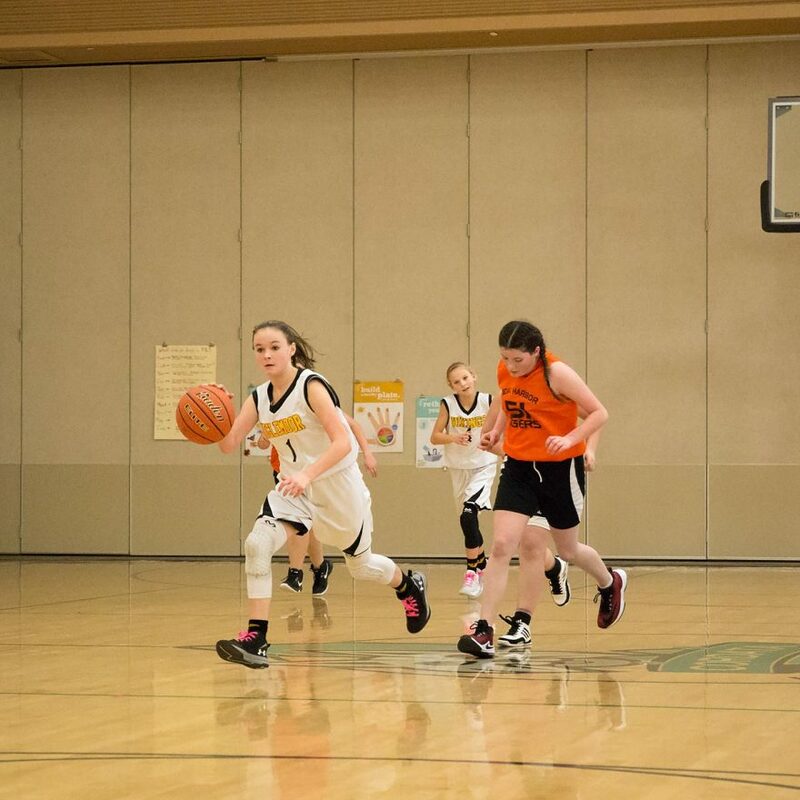 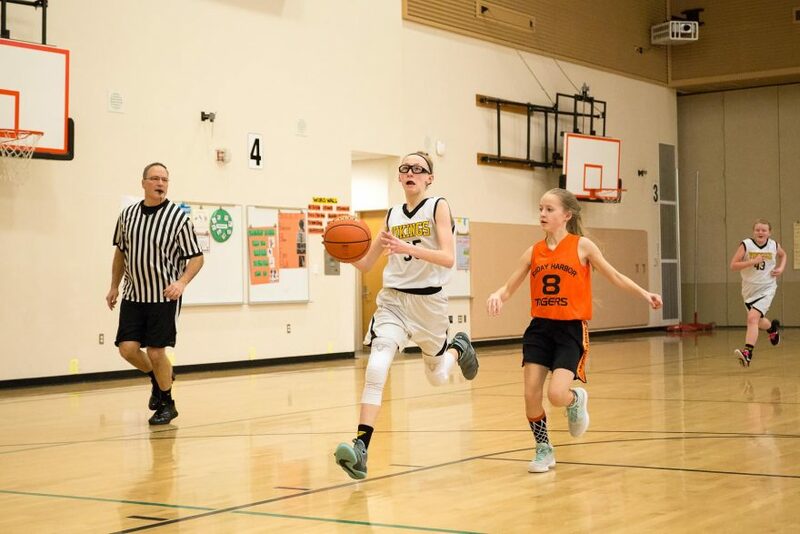 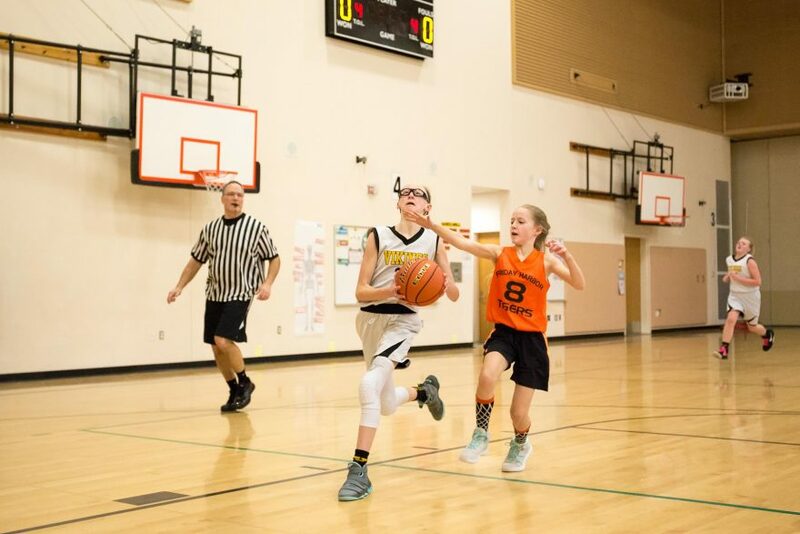 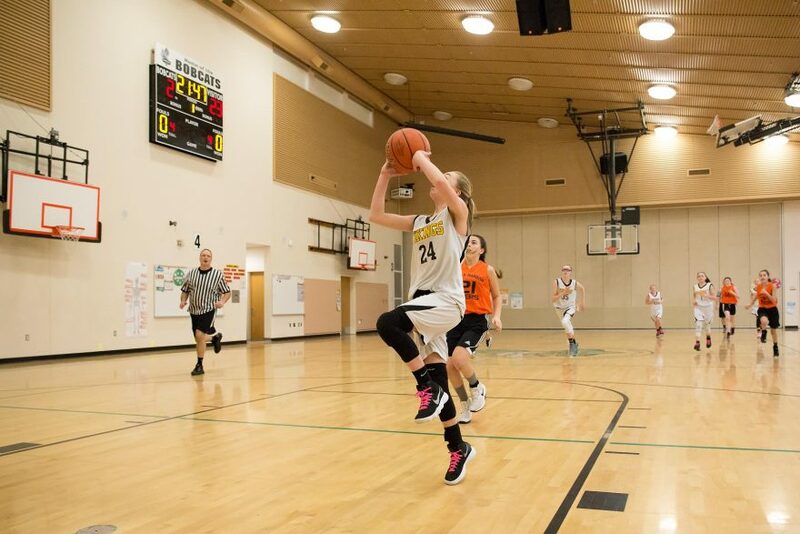 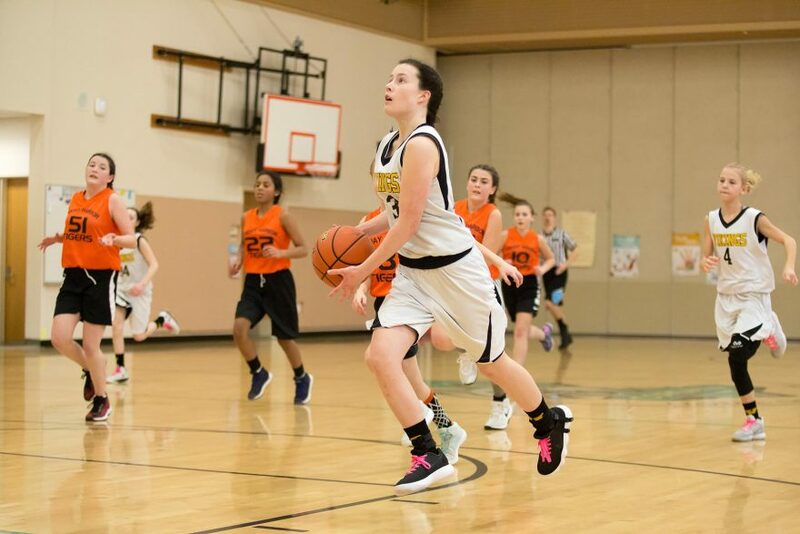 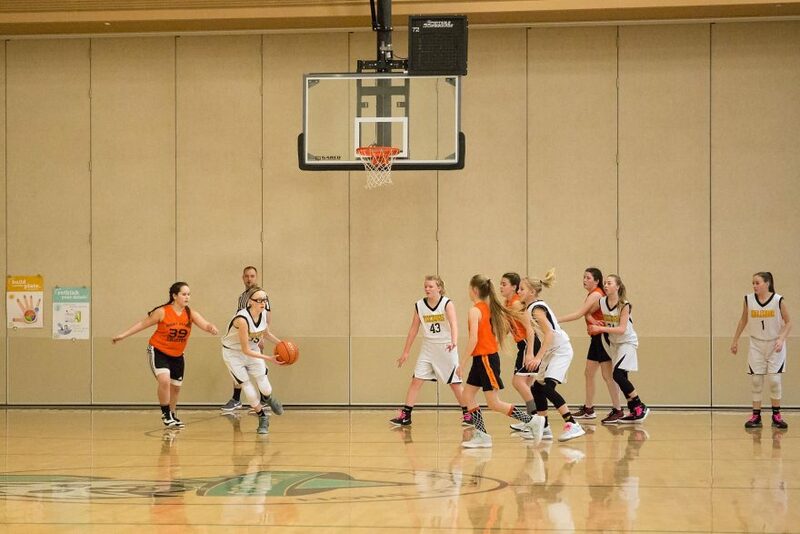 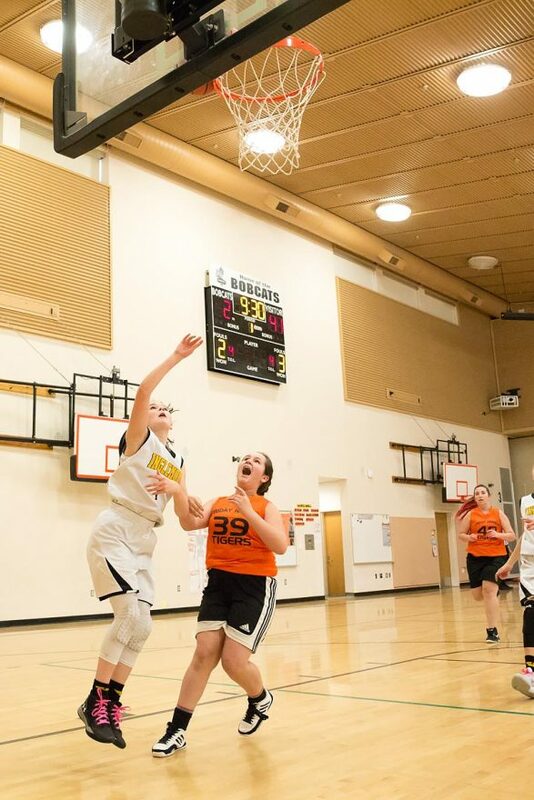 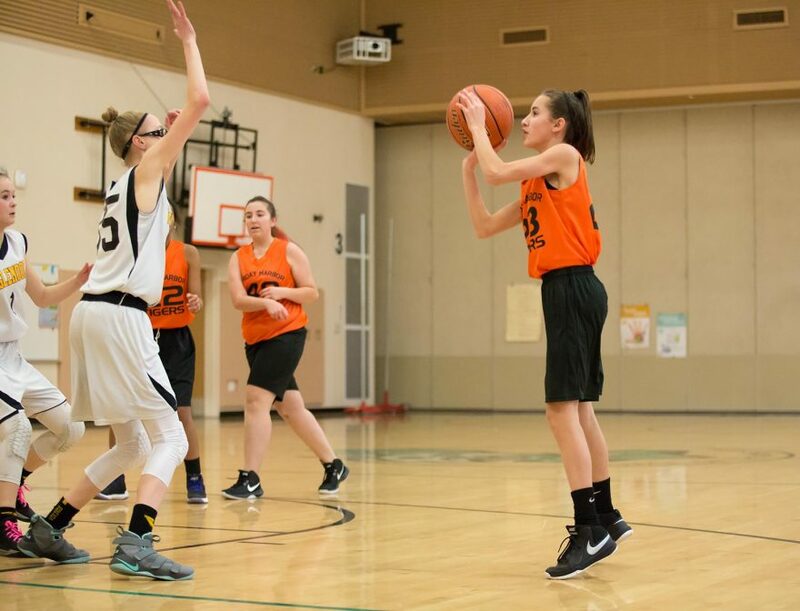 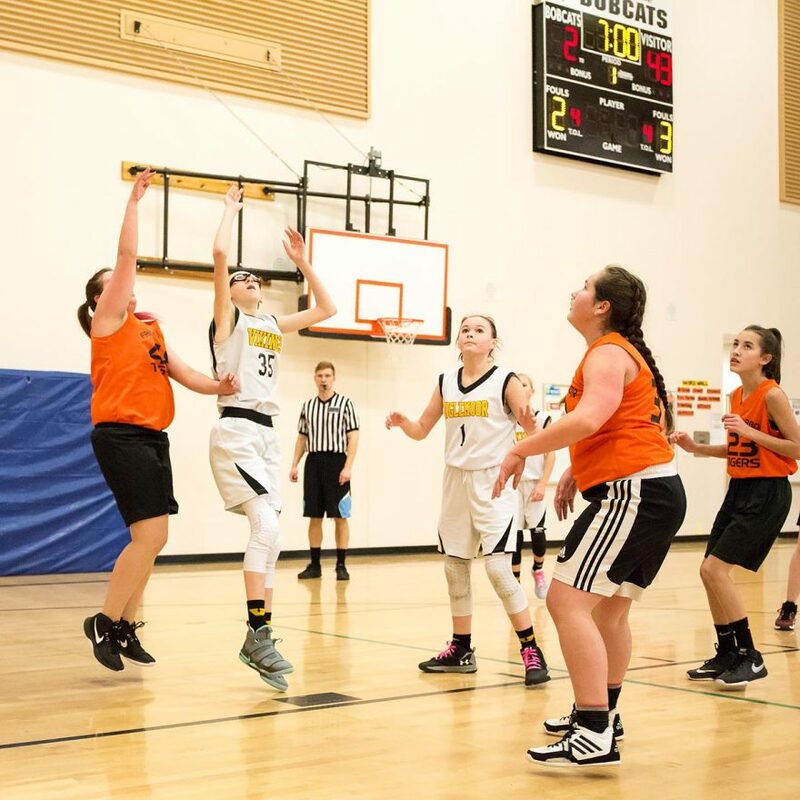 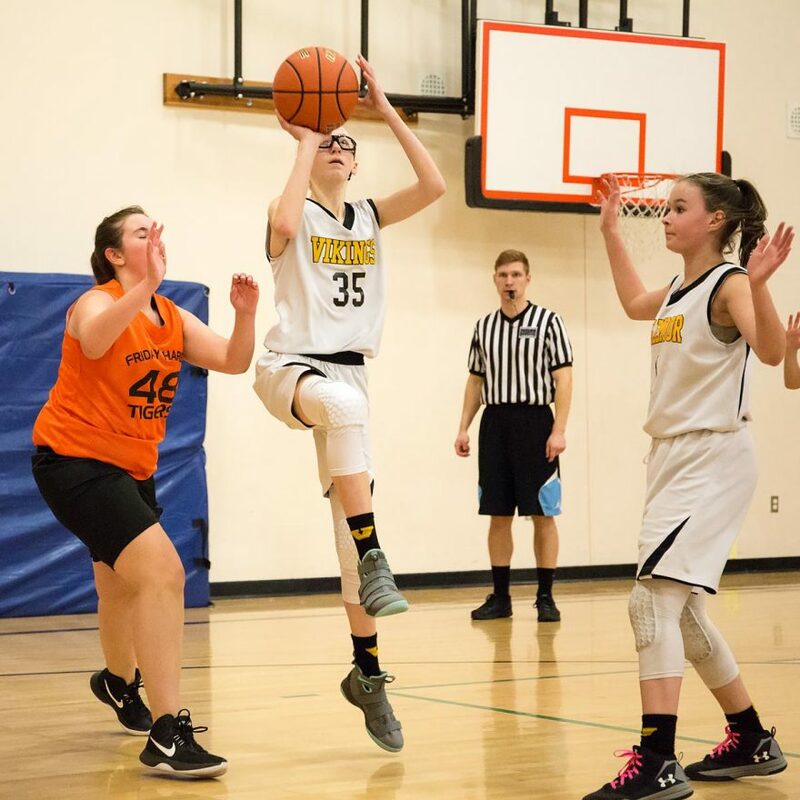 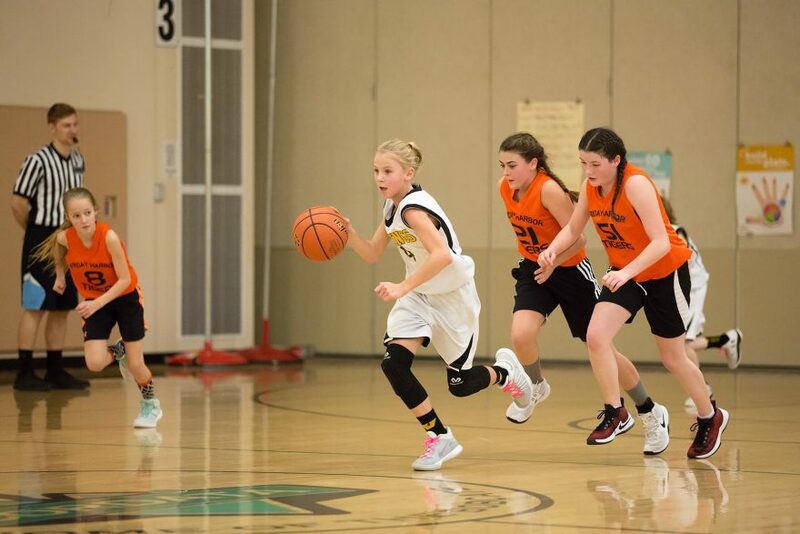 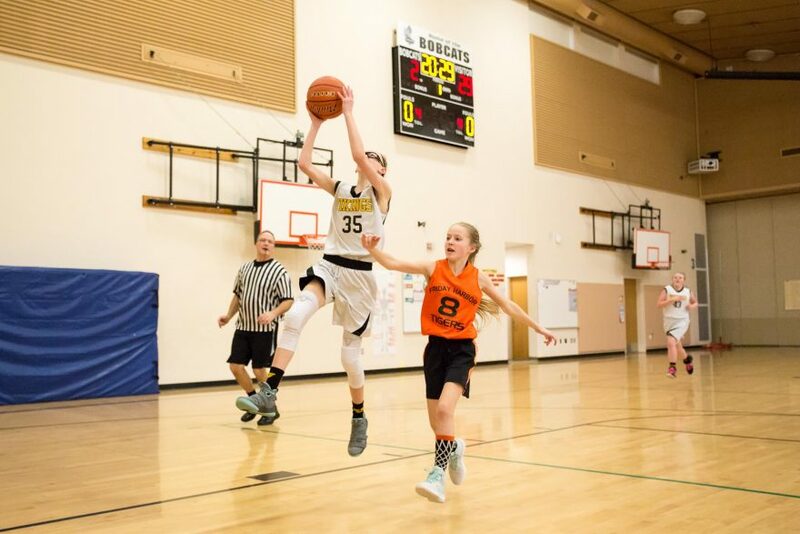 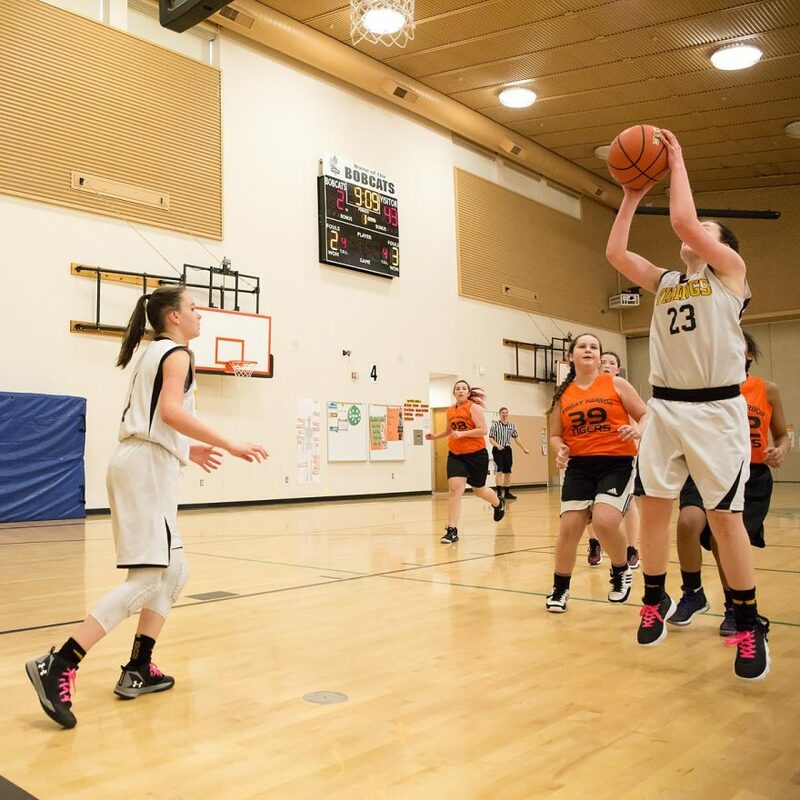 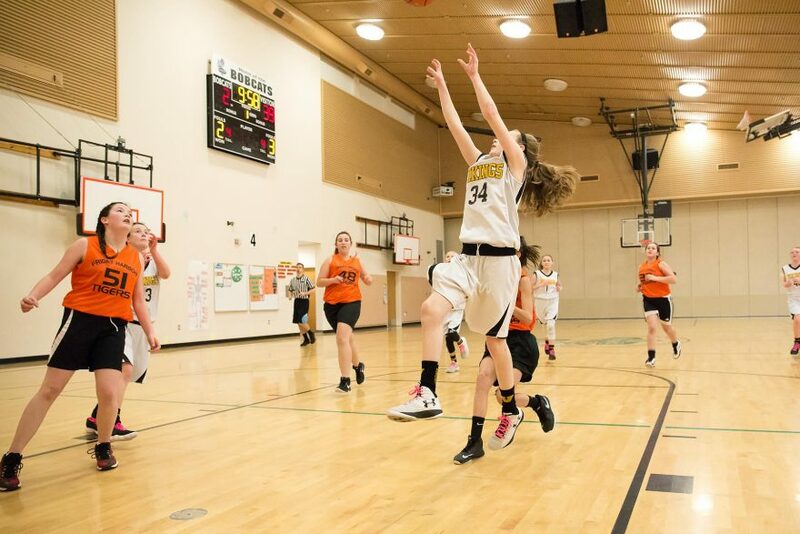 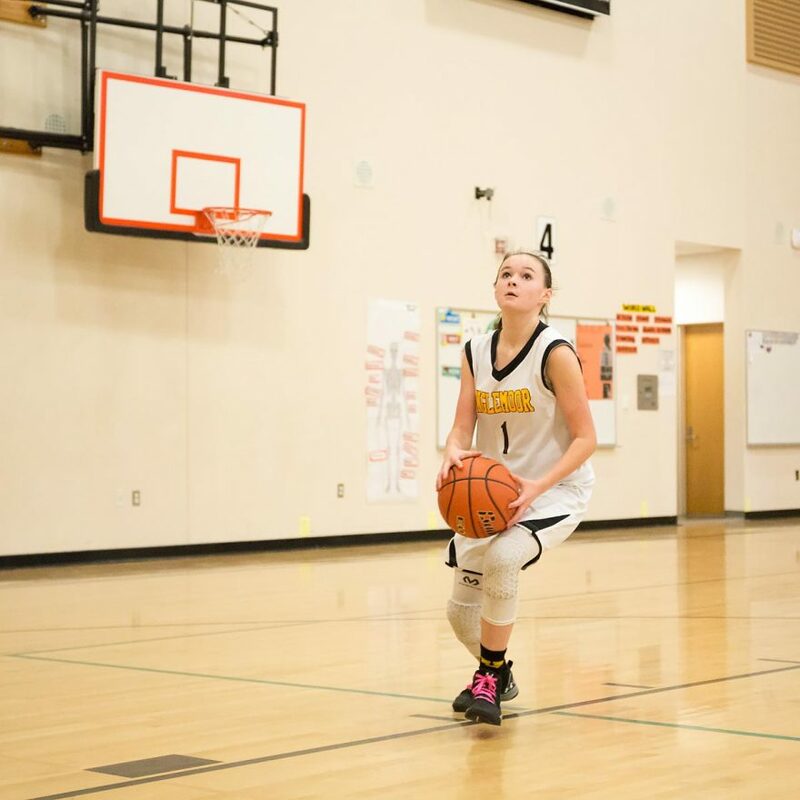 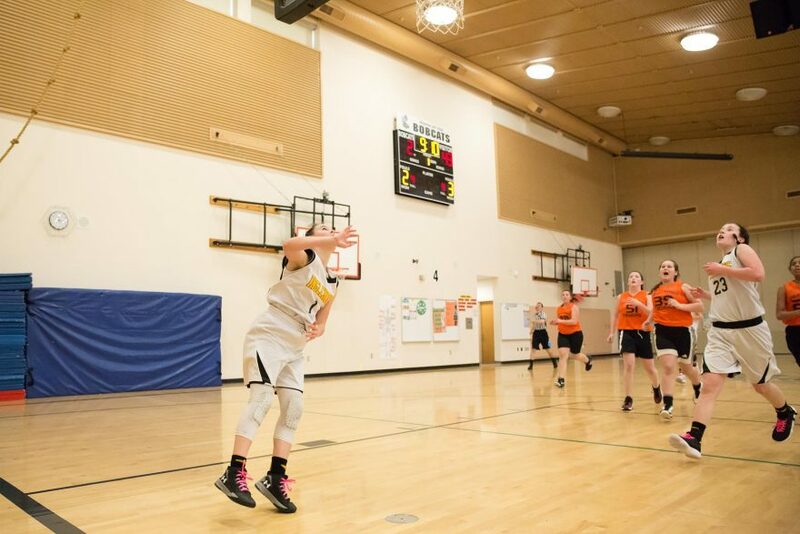 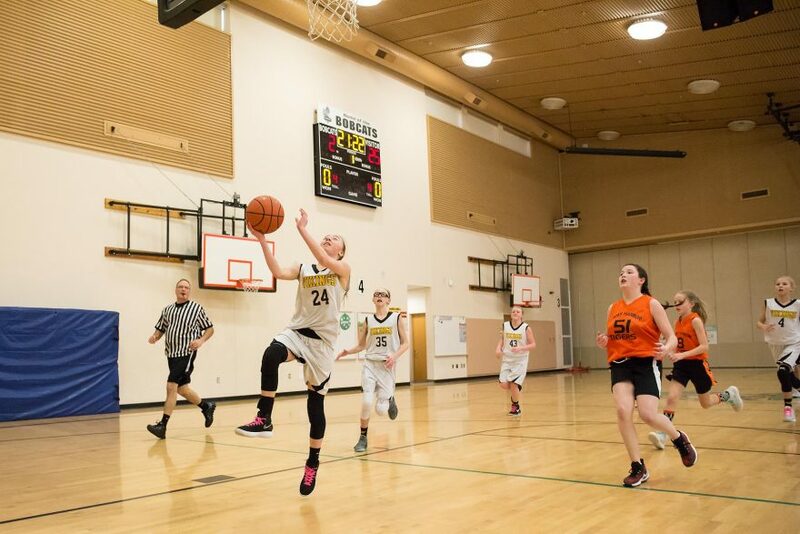 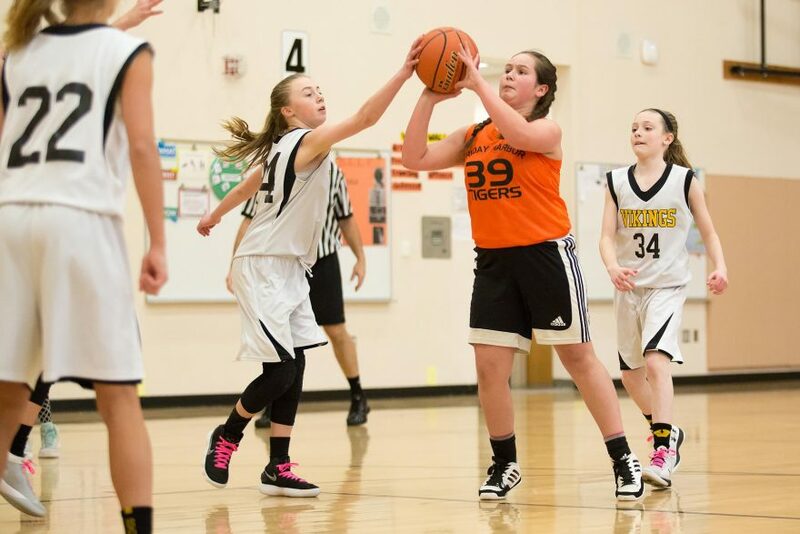 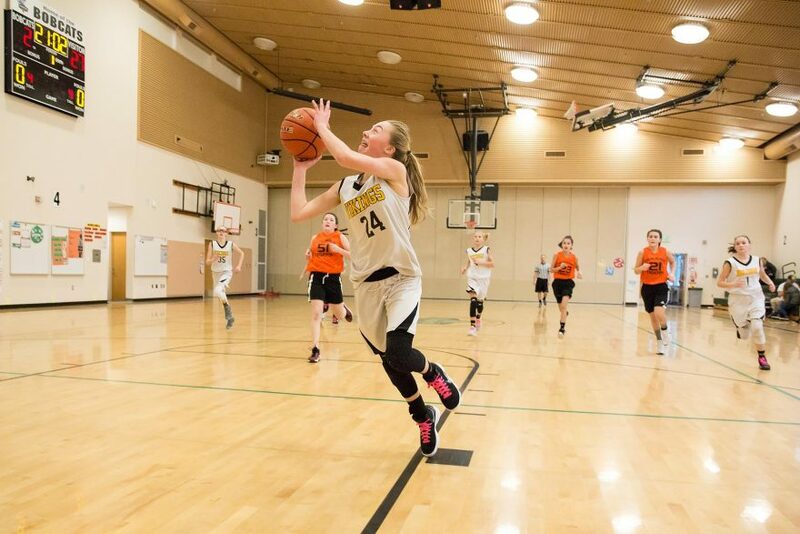 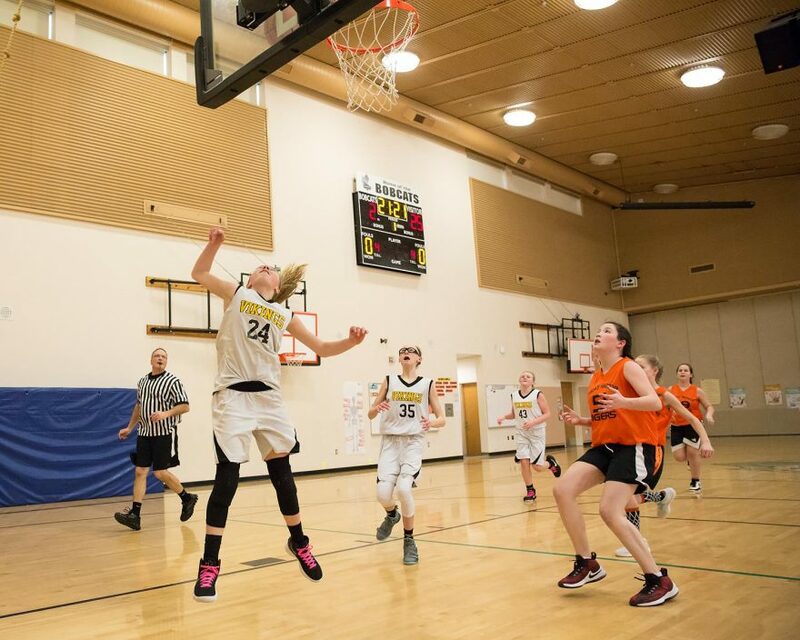 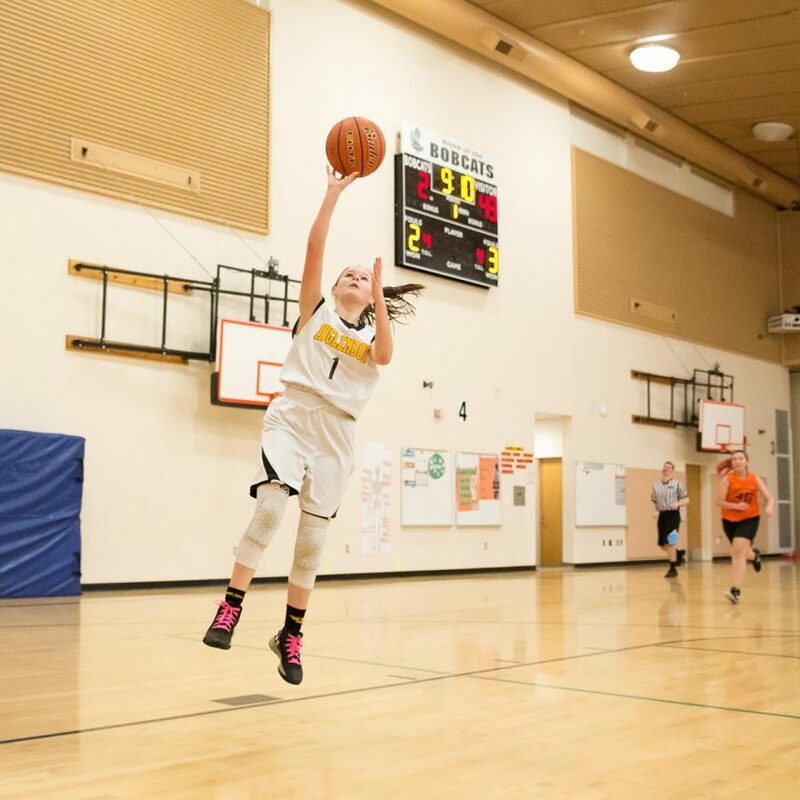 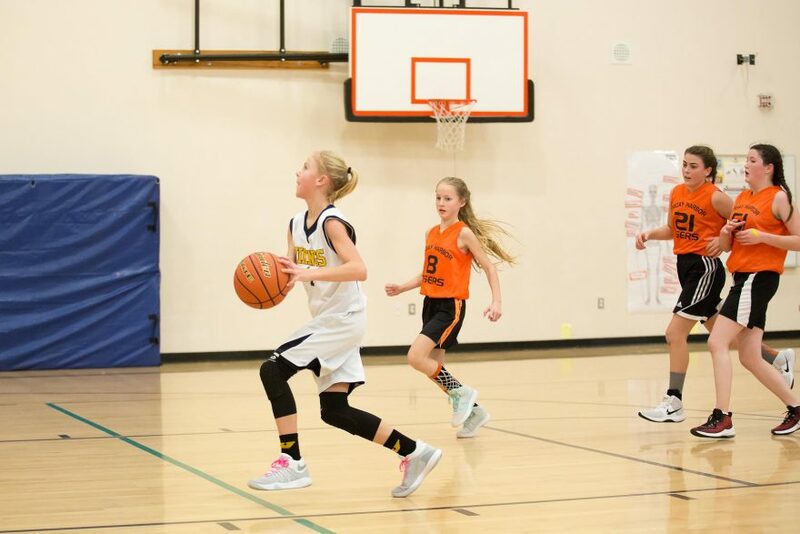 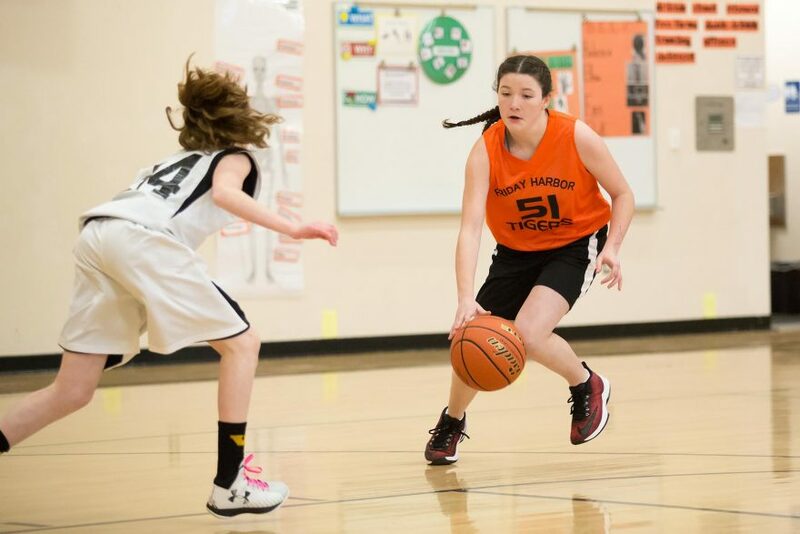 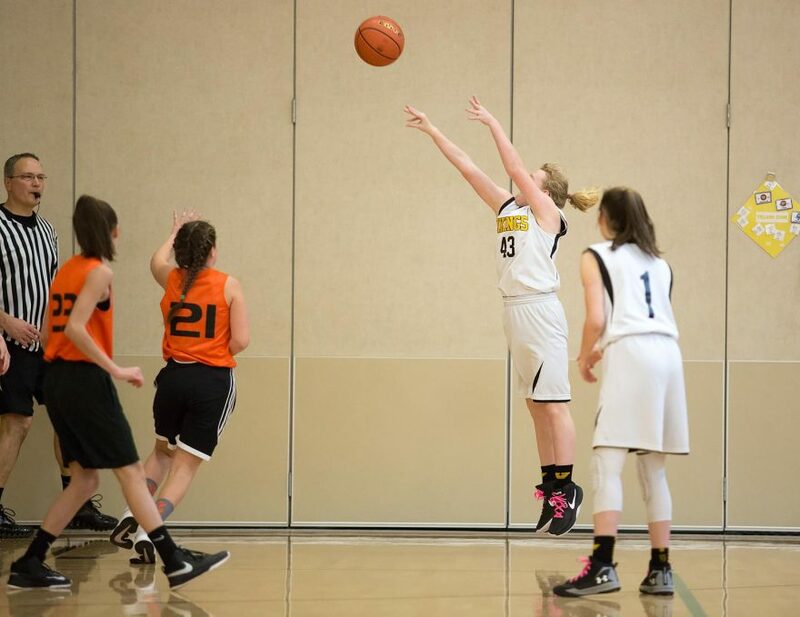 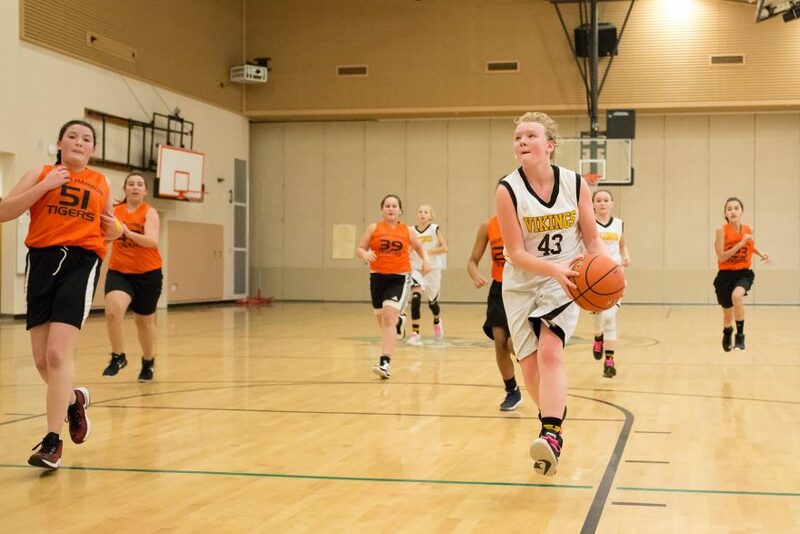 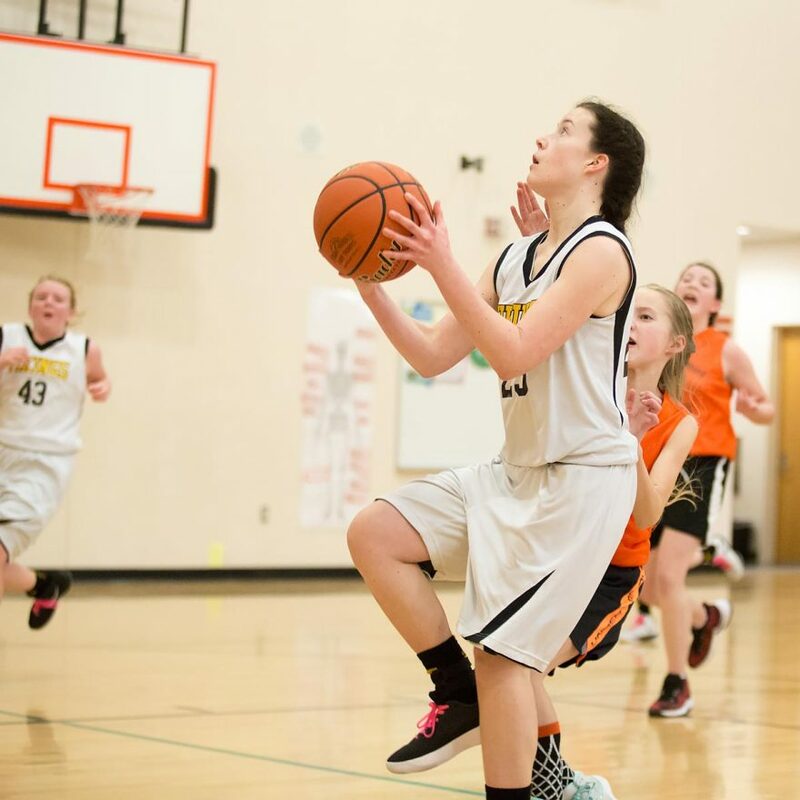 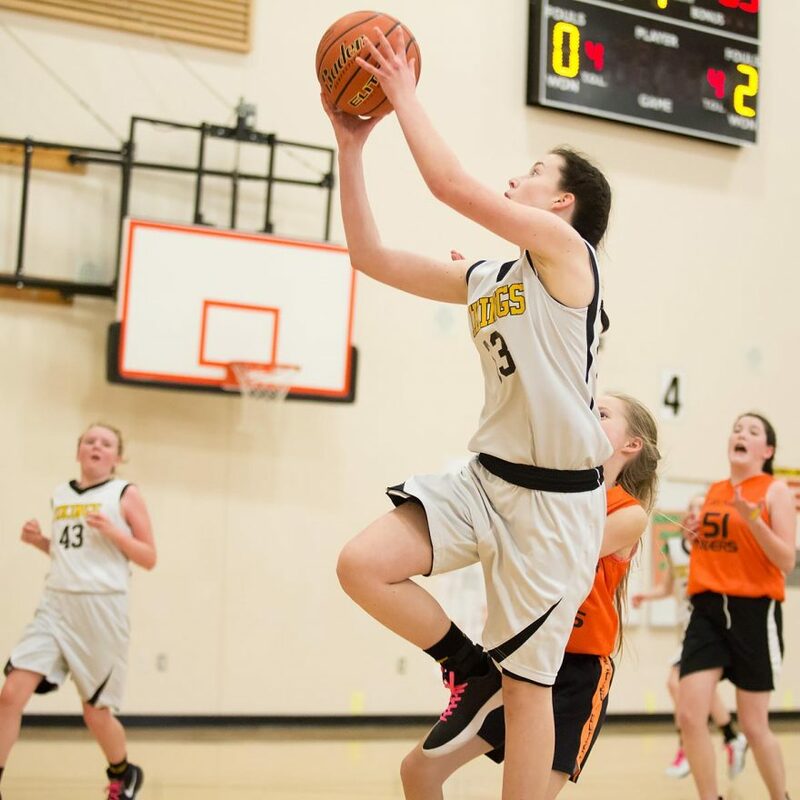 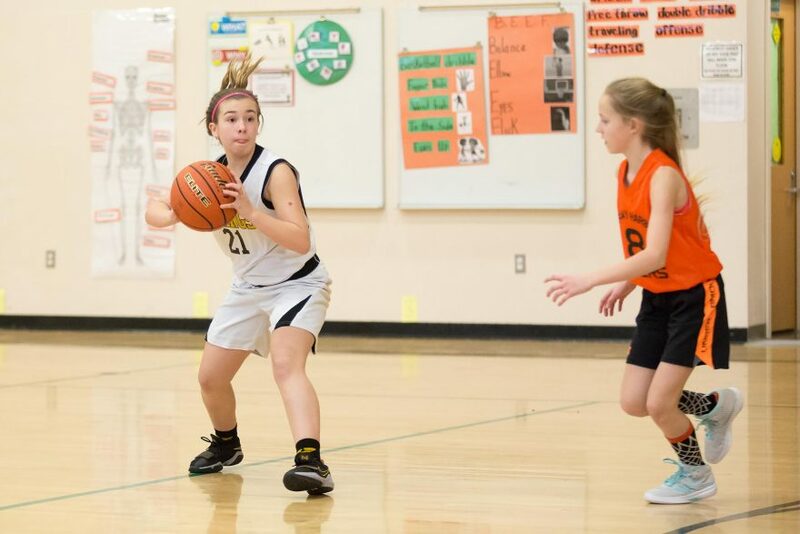 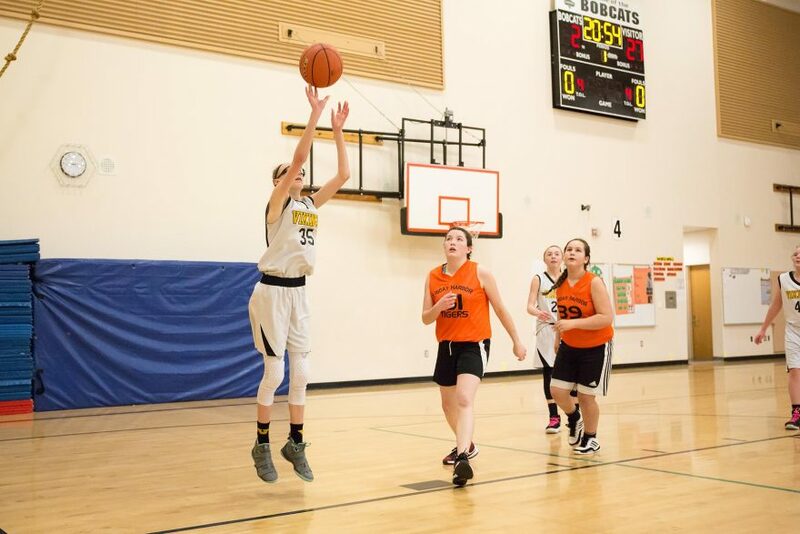 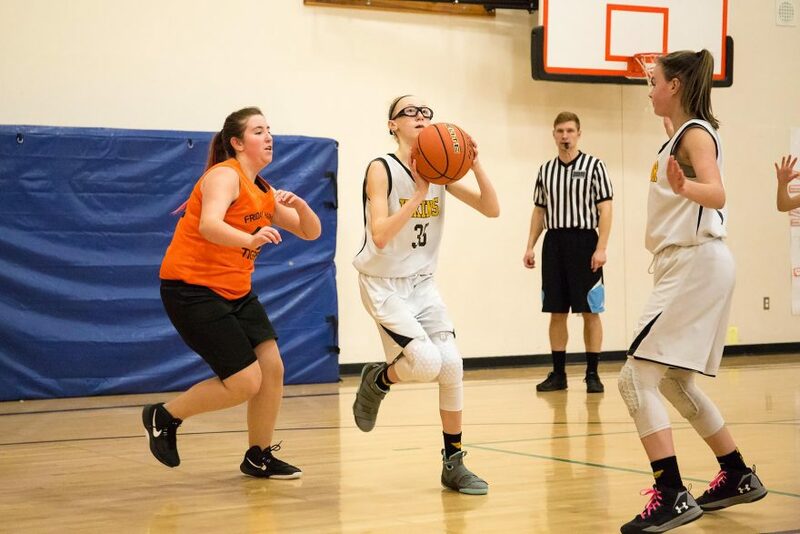 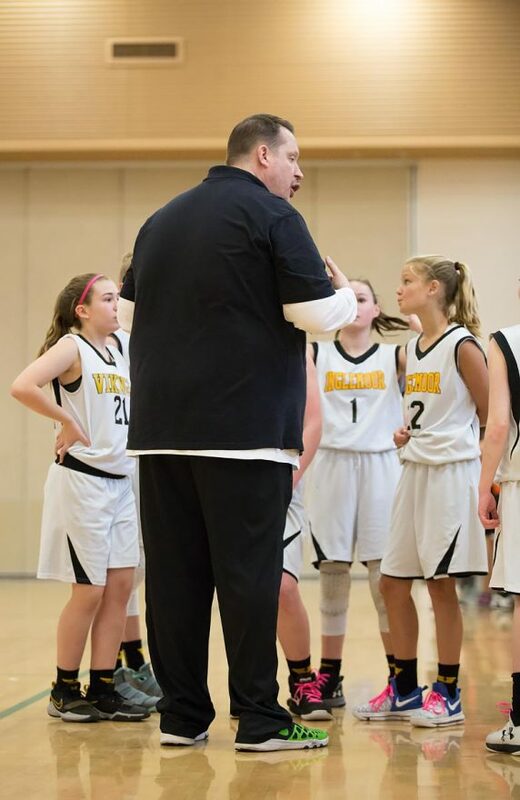 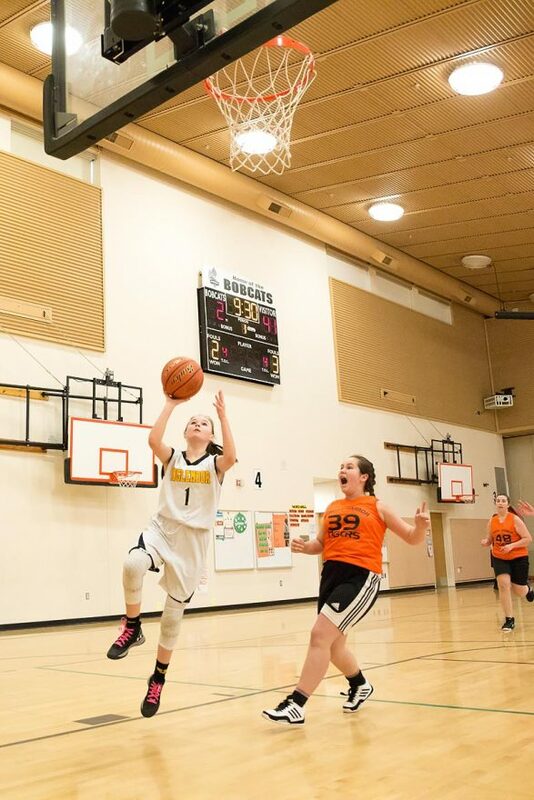 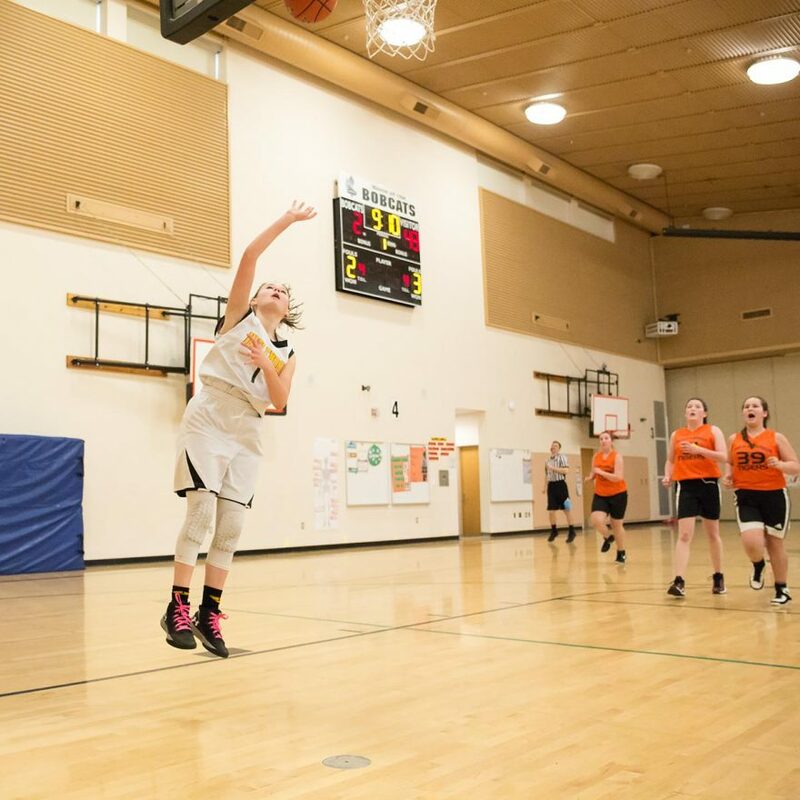 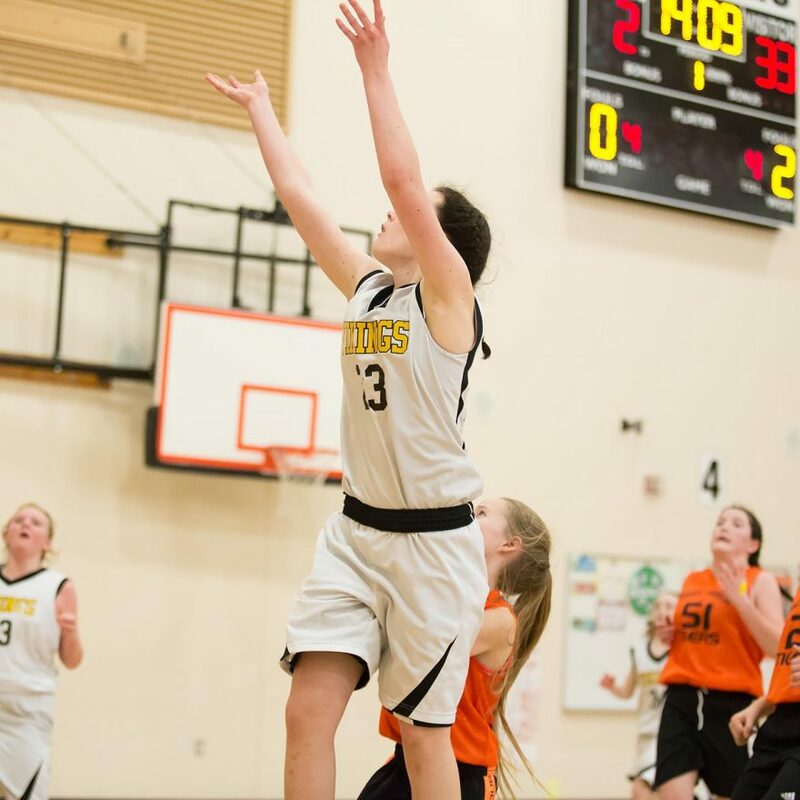 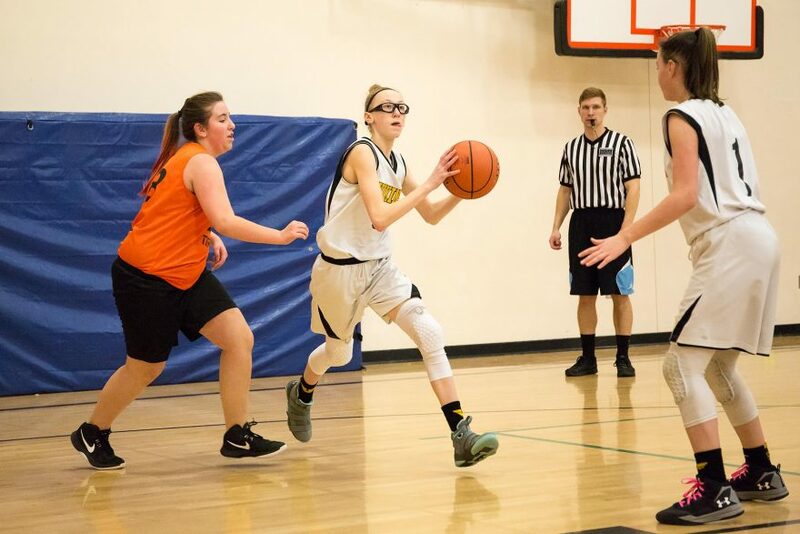 It is fair to say that when the Friday Harbor girls faced off against the Inglemoor Vikings on Saturday afternoon in Bellingham, they were overmatched. 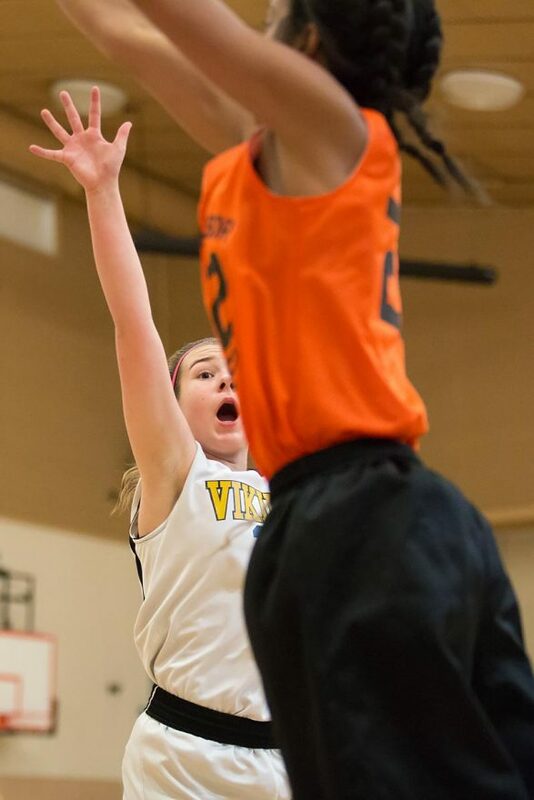 The Vikings jumped out to a 6-0 lead in the first two minutes of the game, and held an 11-0 lead after 14 minutes of play, at which point Friday Harbor’s #23 hit a ten-foot jump shot for the team’s first (and what would be their only) points of the game. 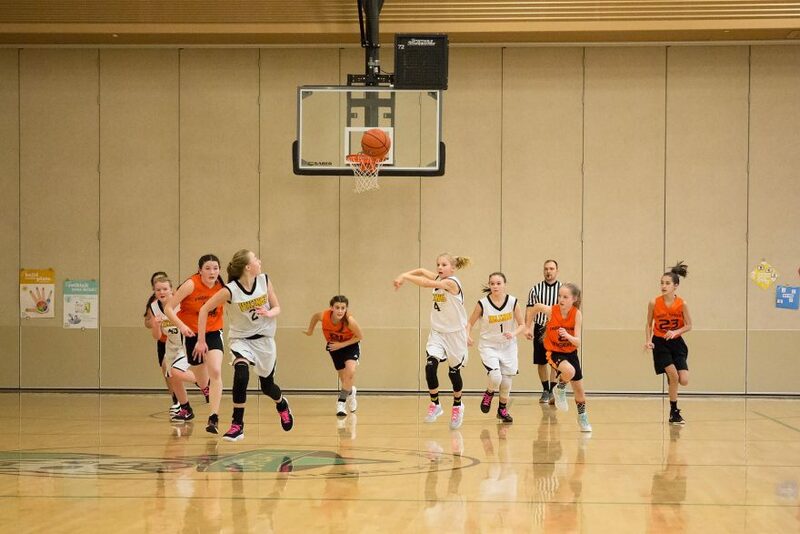 When the dust settled after 44 minutes of play, the score was 49-2. 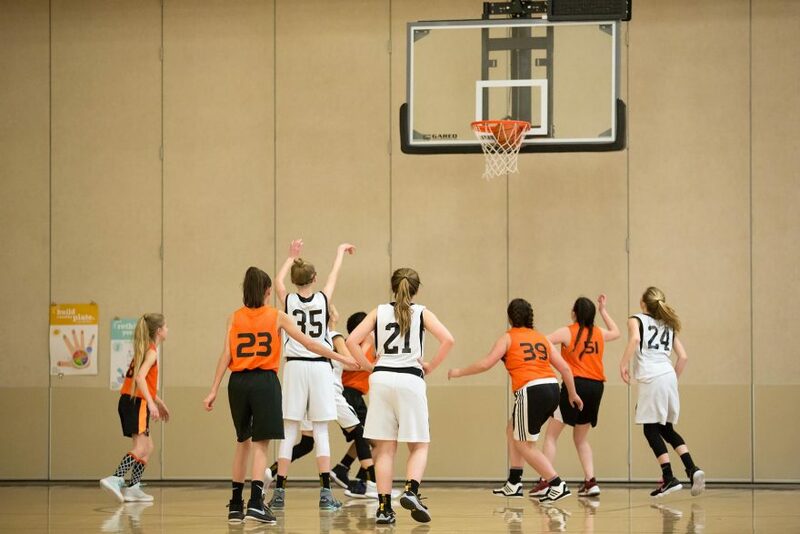 Despite the lopsided score, it was a game that both teams can be proud of. 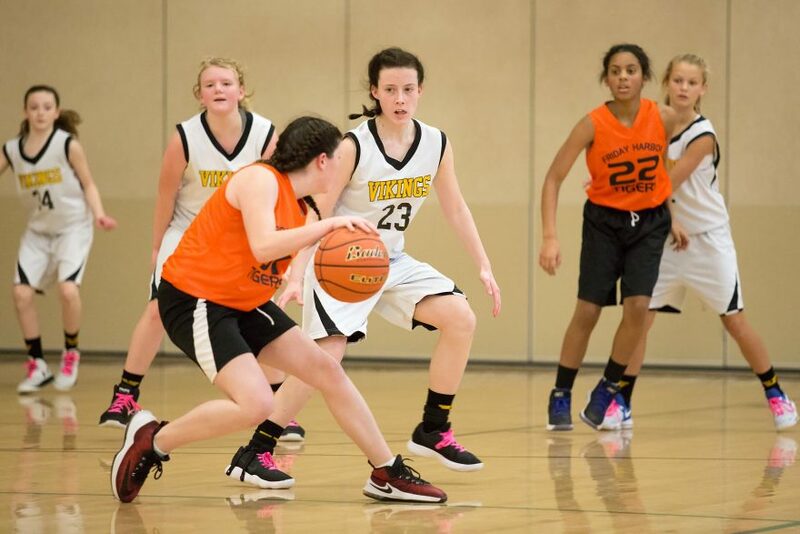 For the Vikings, the reasons should be obvious: they played tireless, solid basketball from start to finish, and dominated on offense and defense. 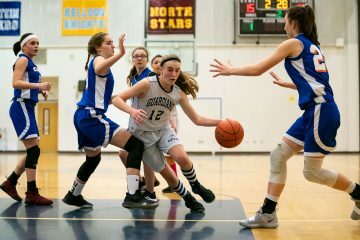 Just as impressive, though (and certainly more rare), was how Friday Harbor’s girls handled themselves during the game. 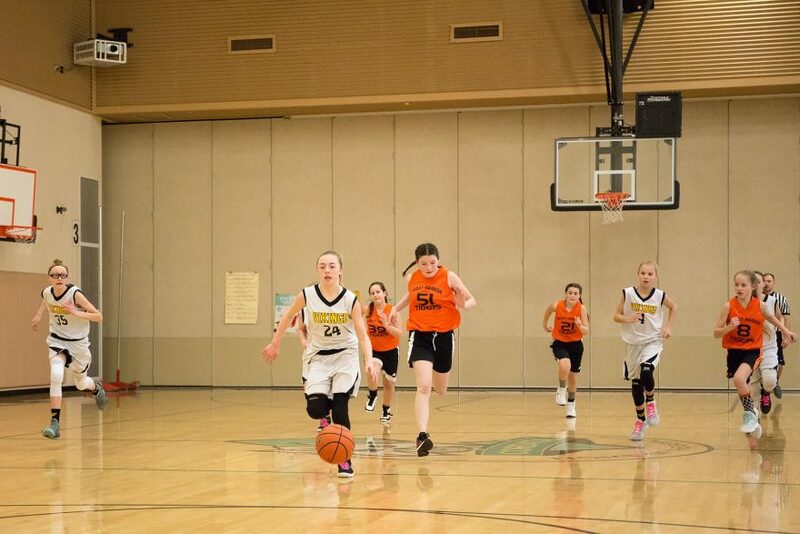 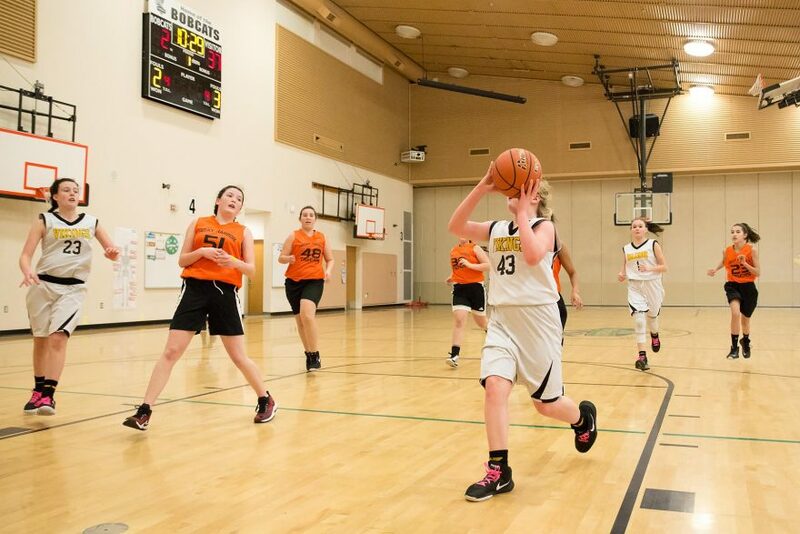 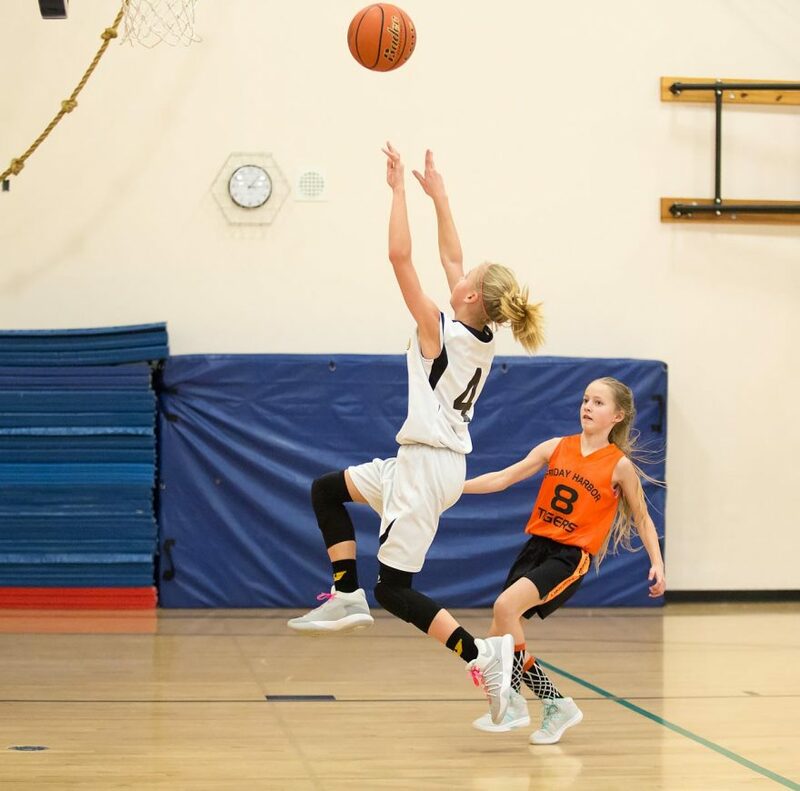 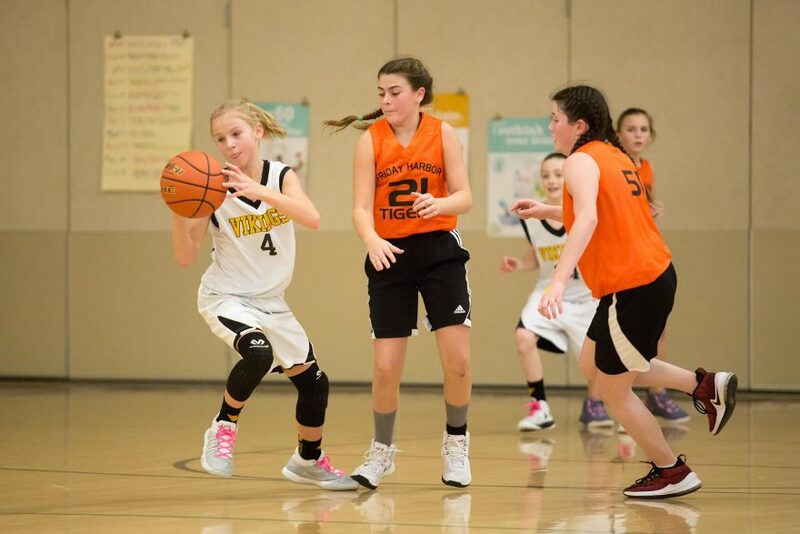 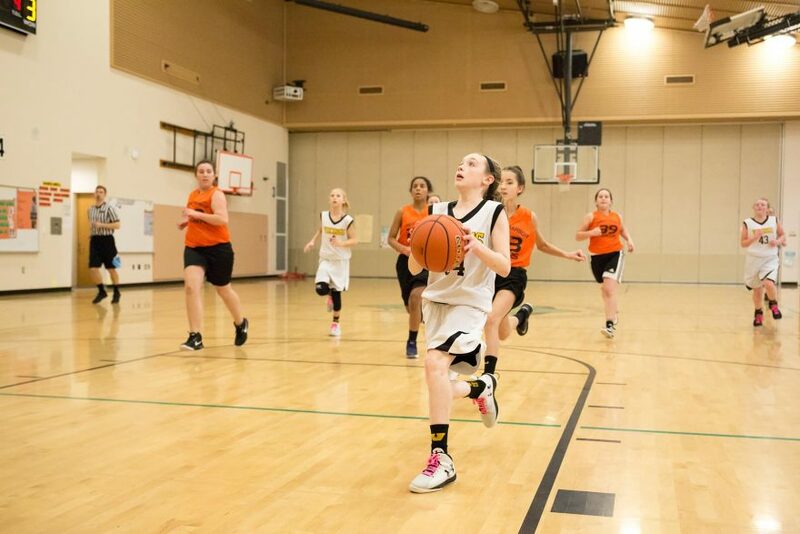 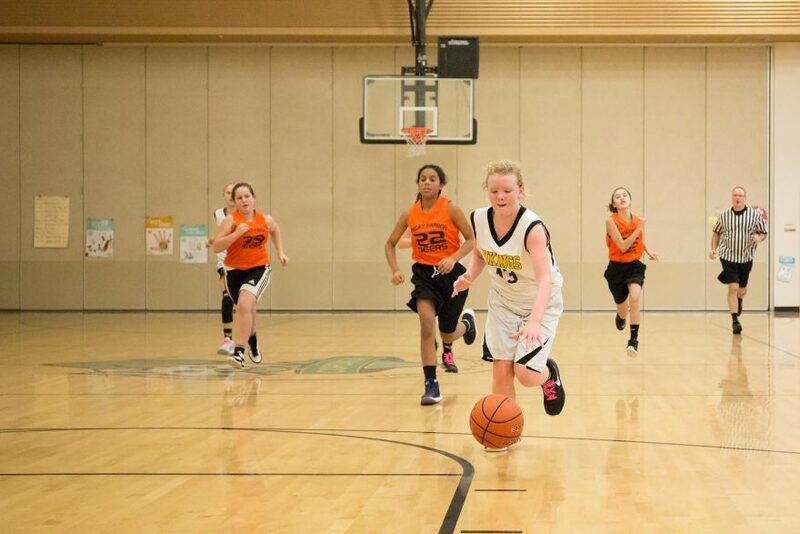 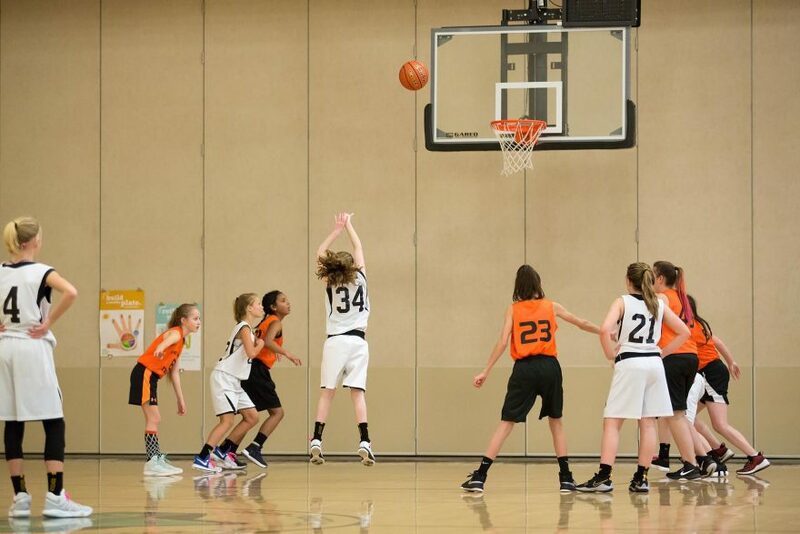 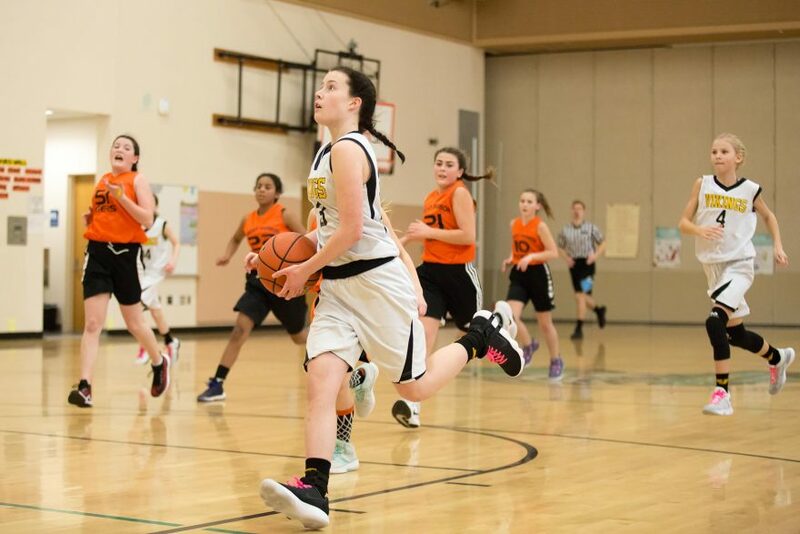 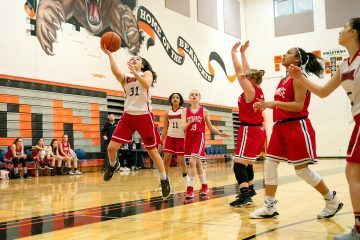 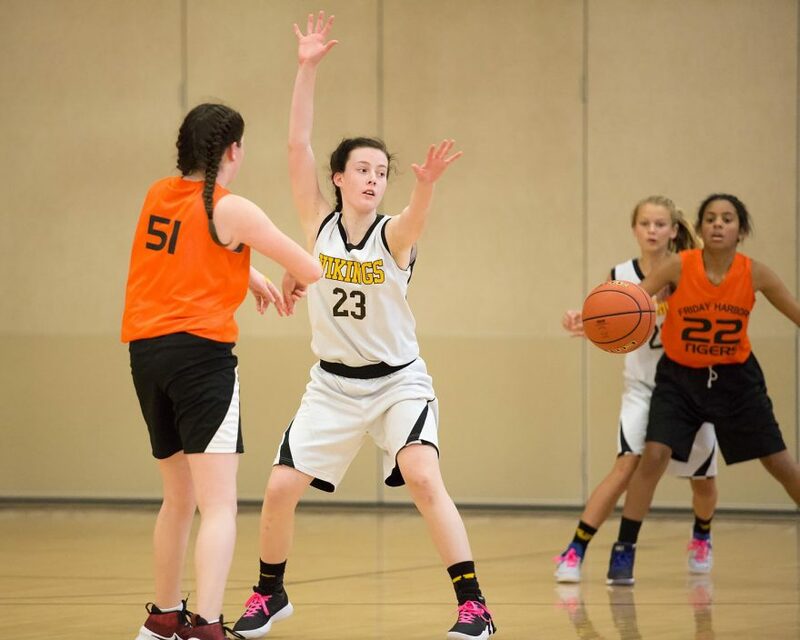 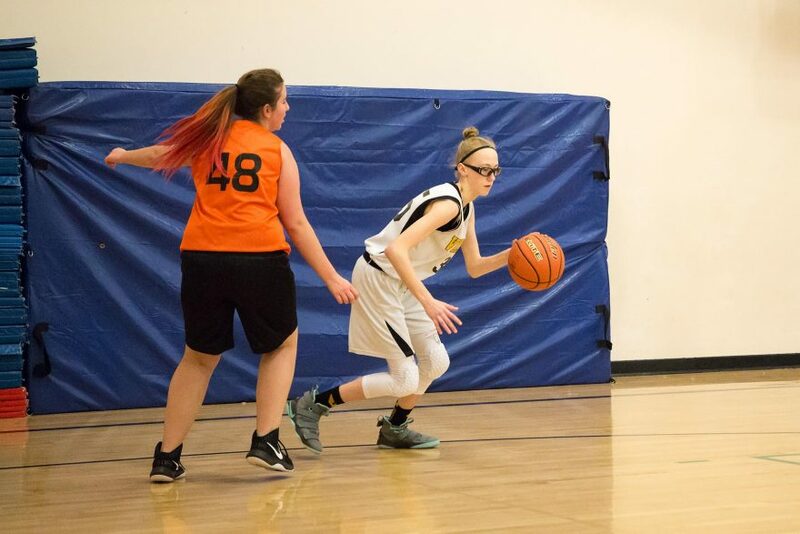 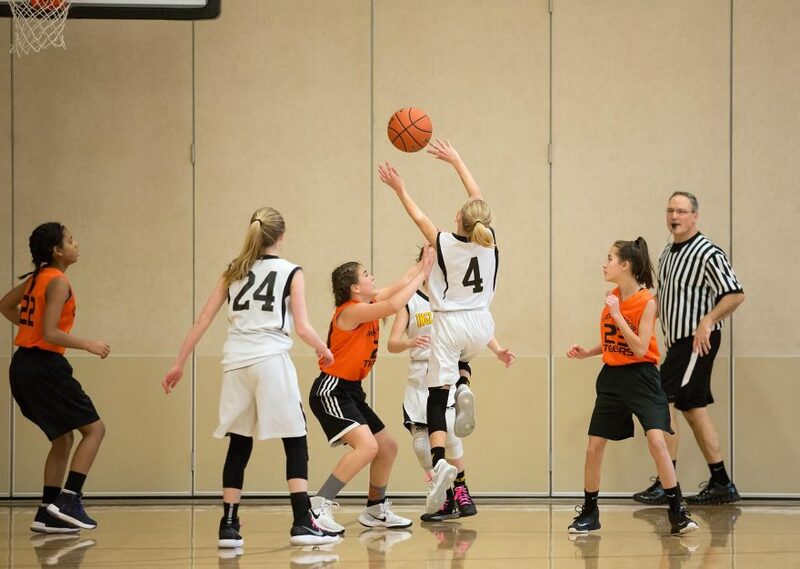 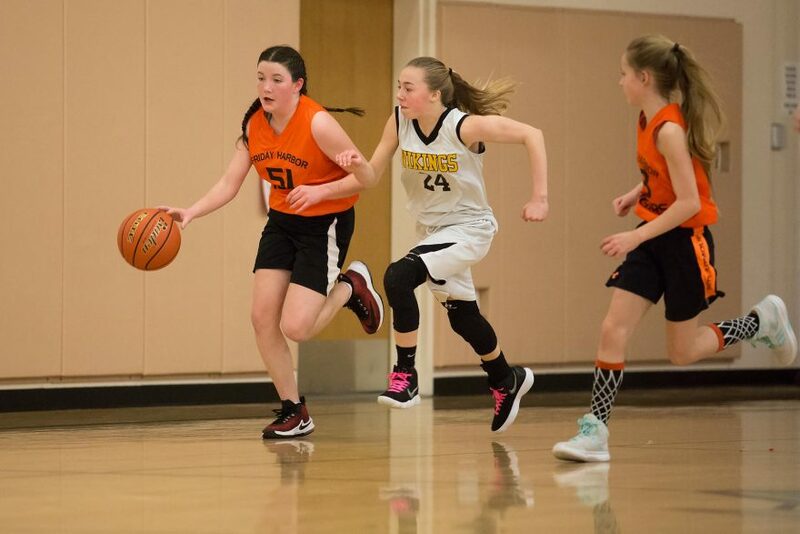 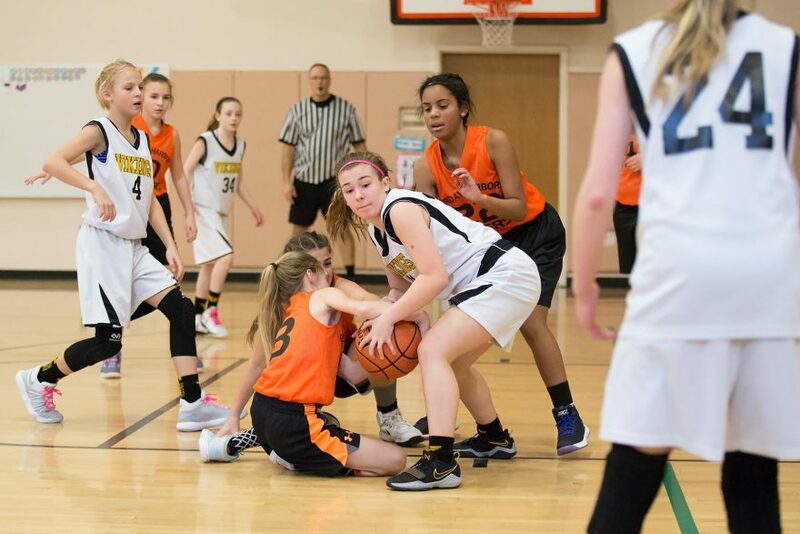 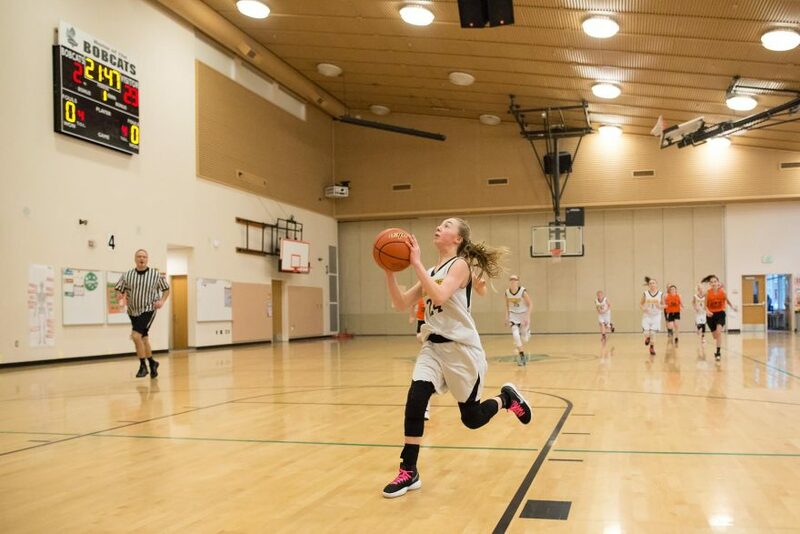 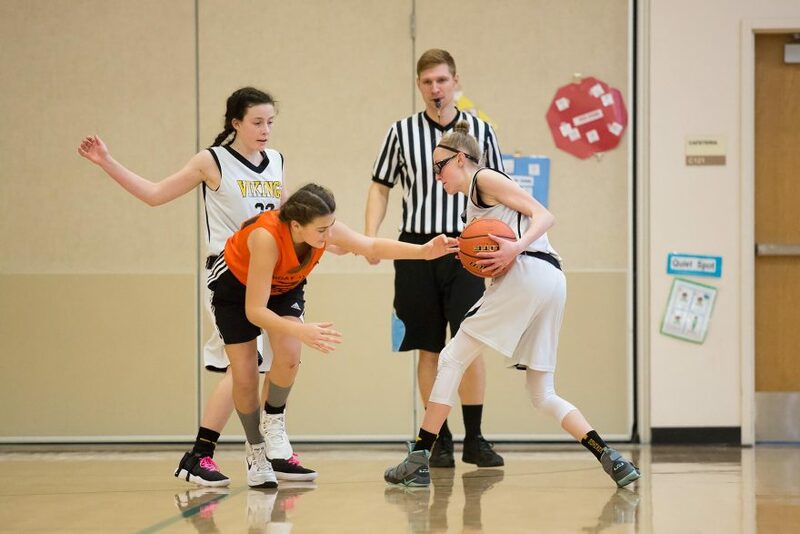 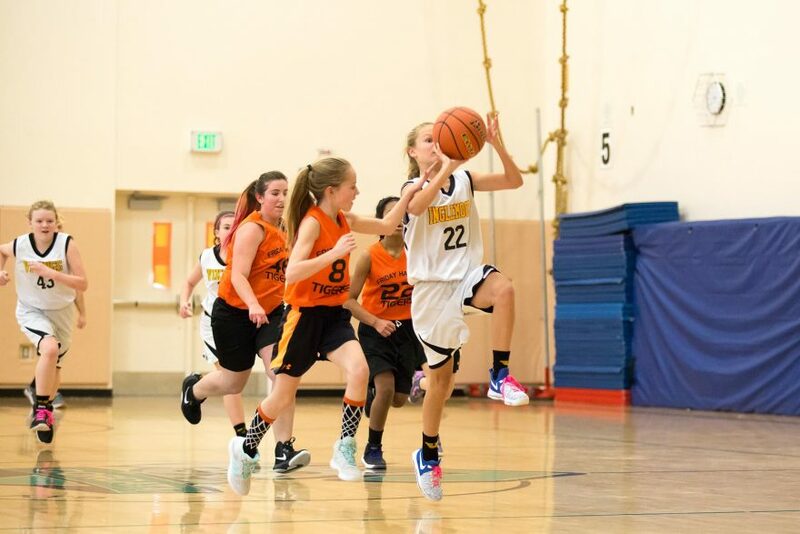 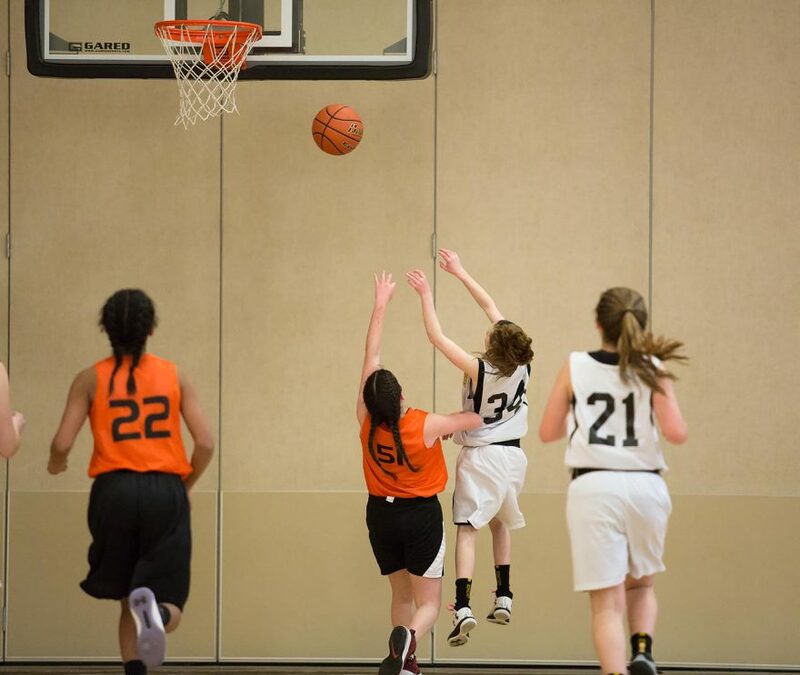 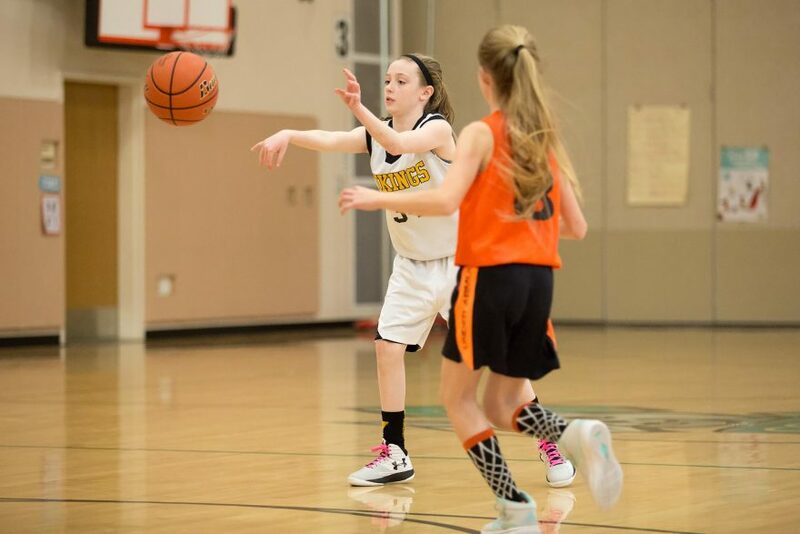 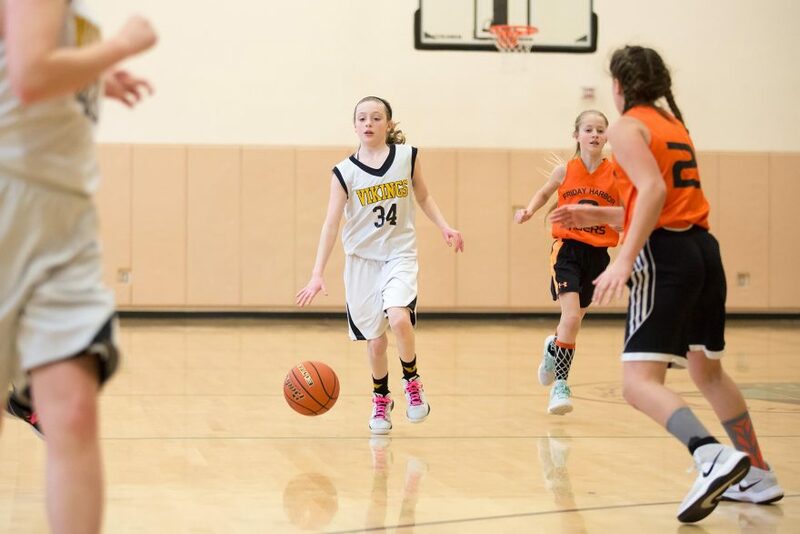 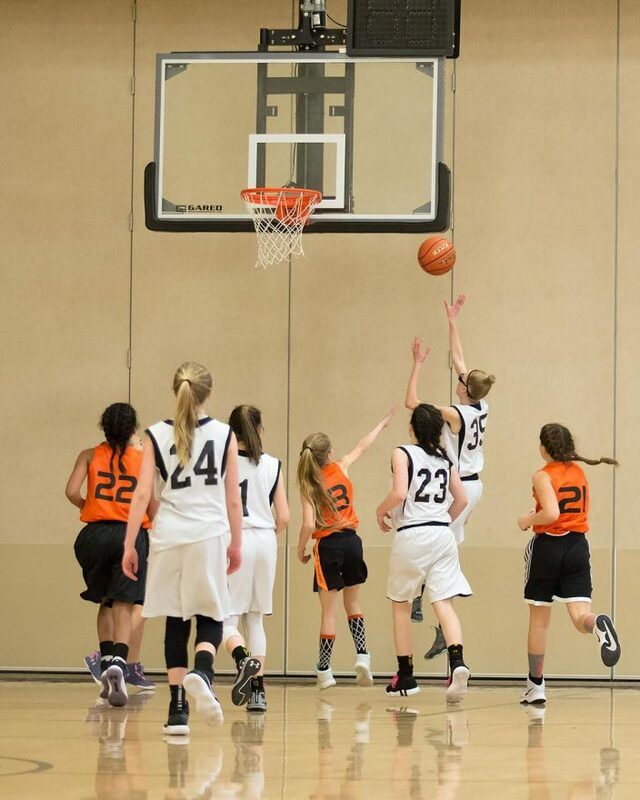 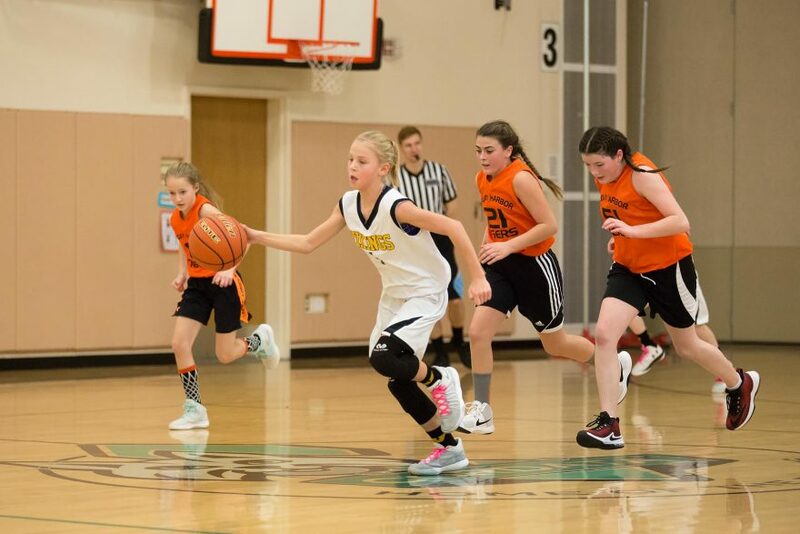 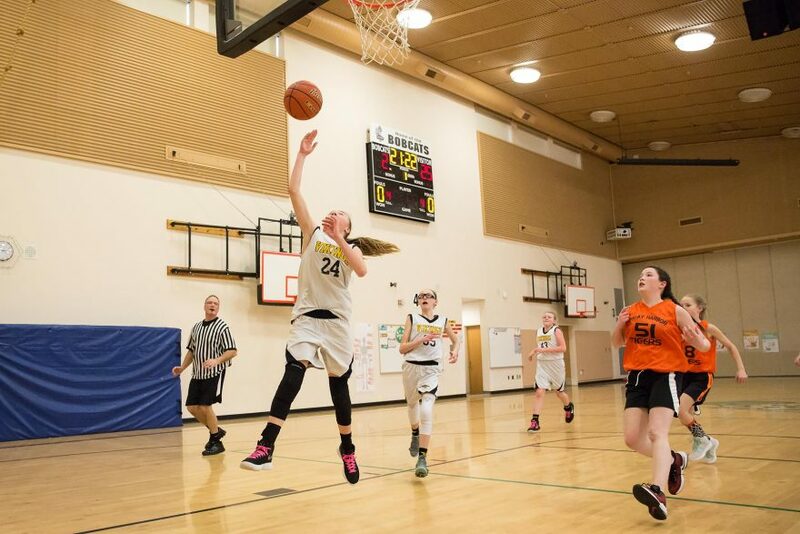 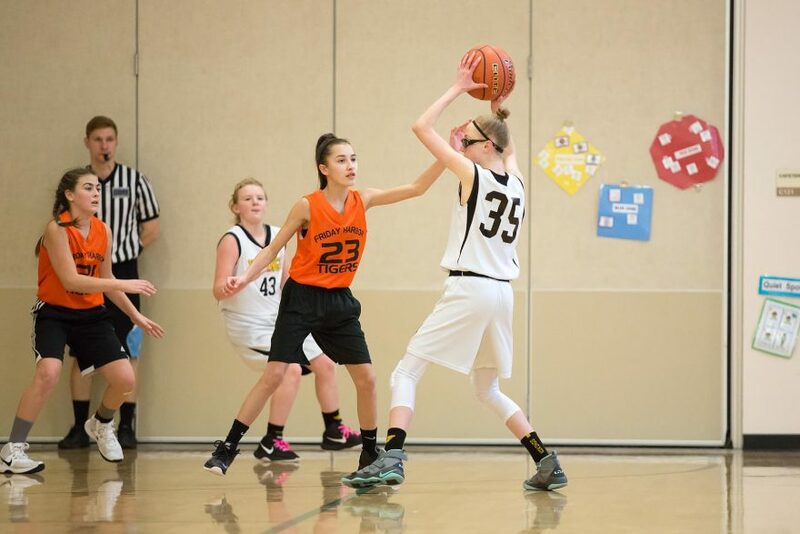 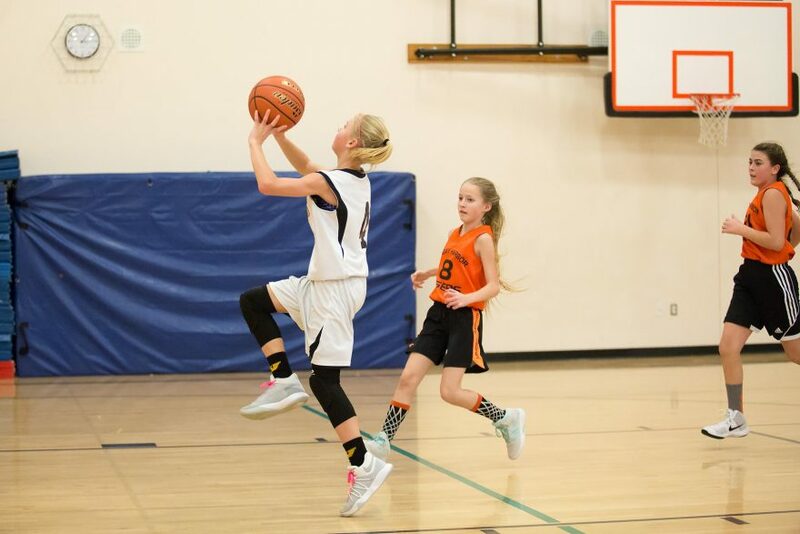 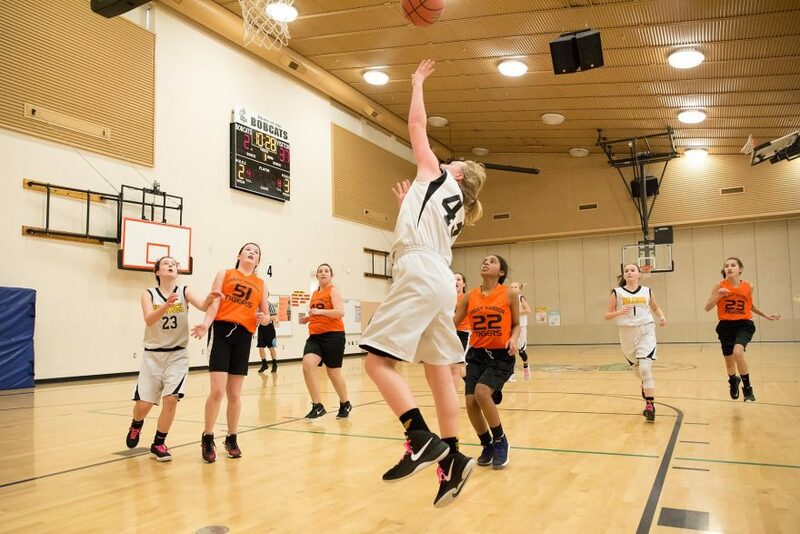 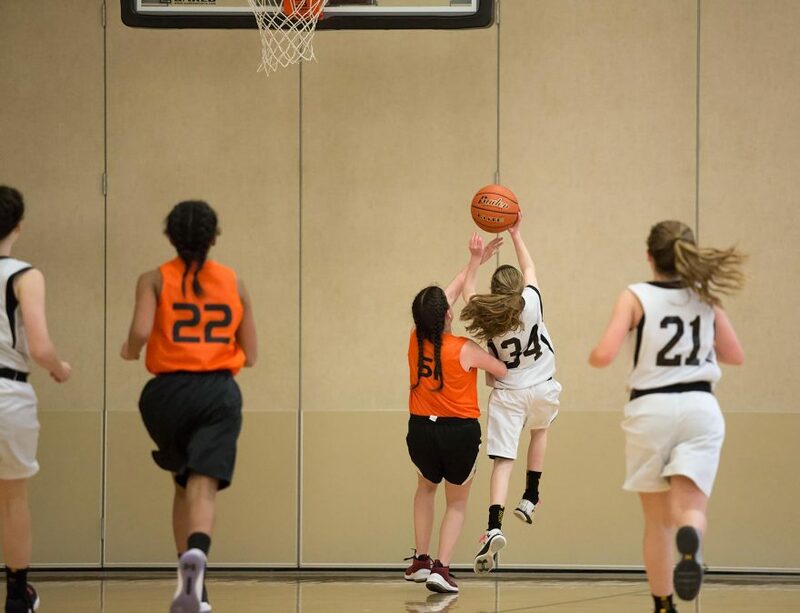 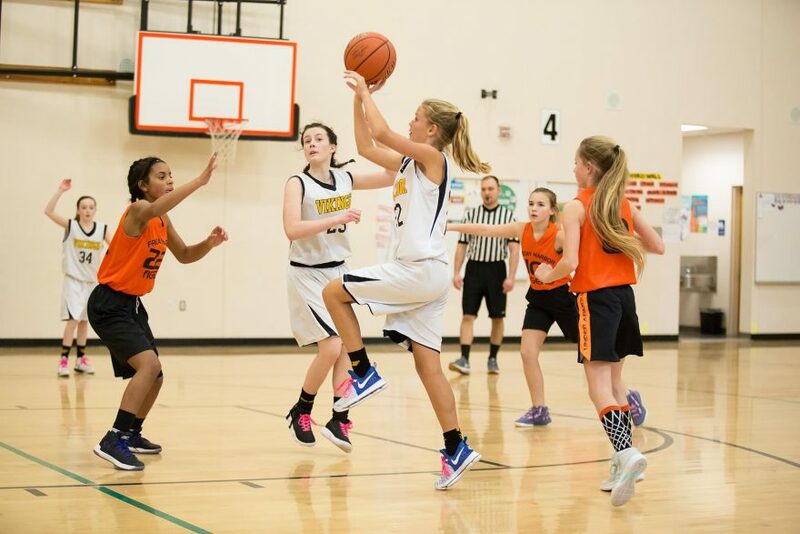 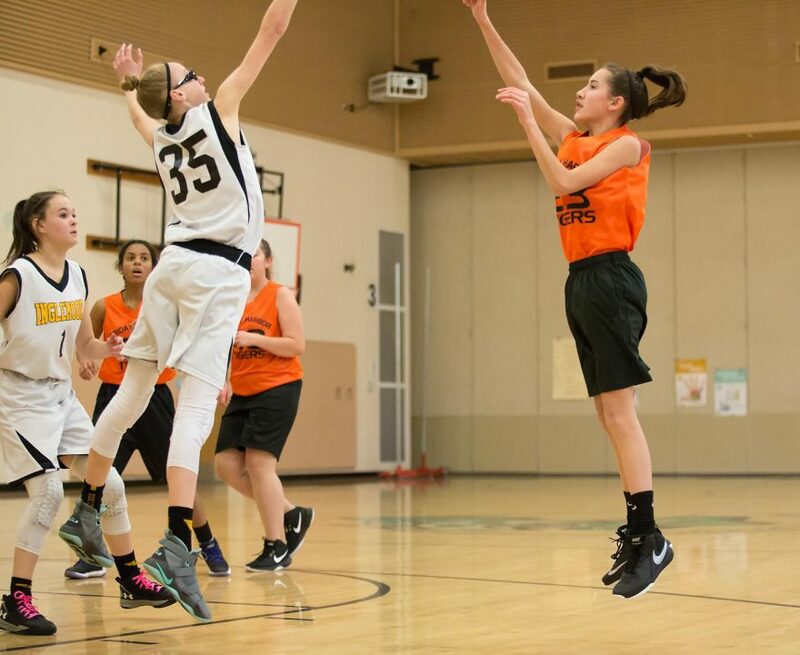 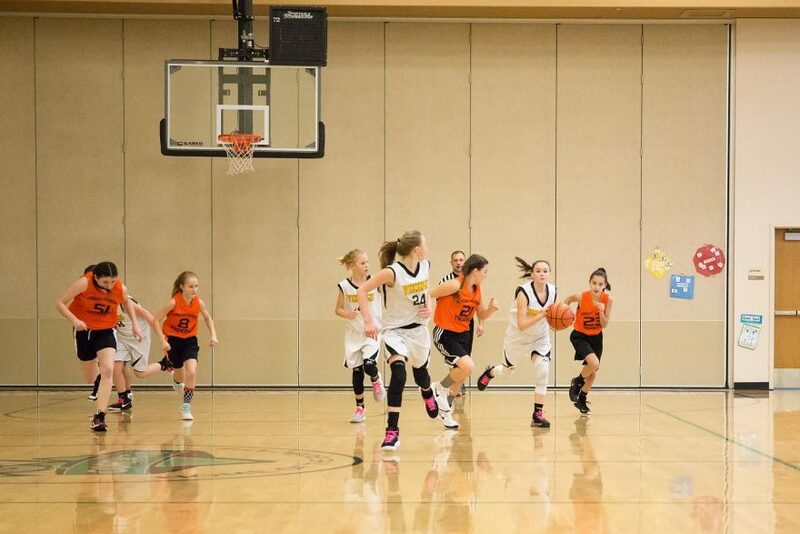 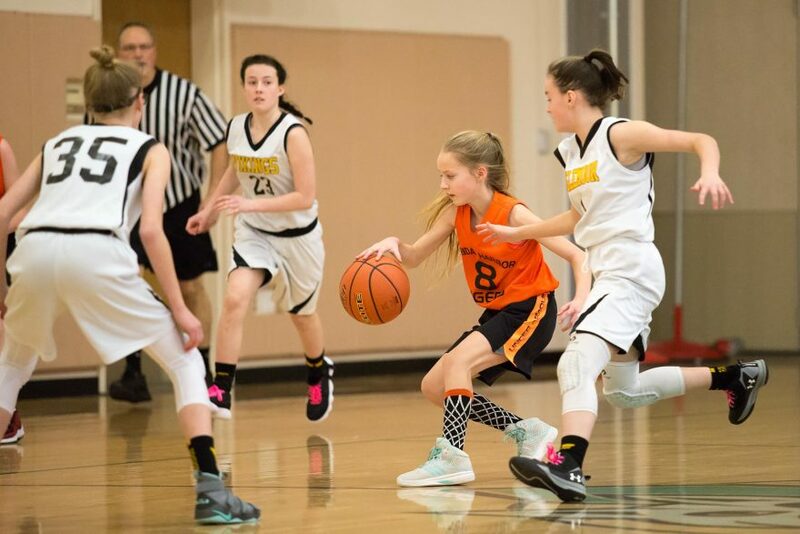 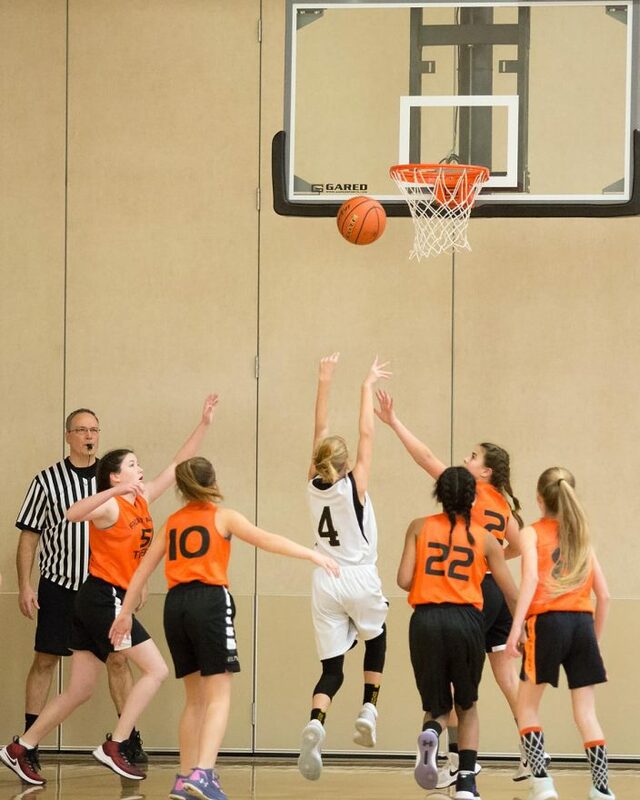 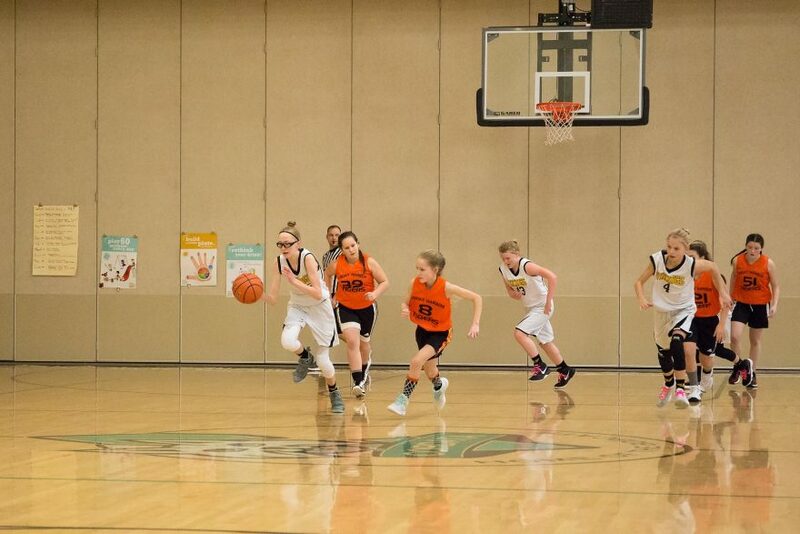 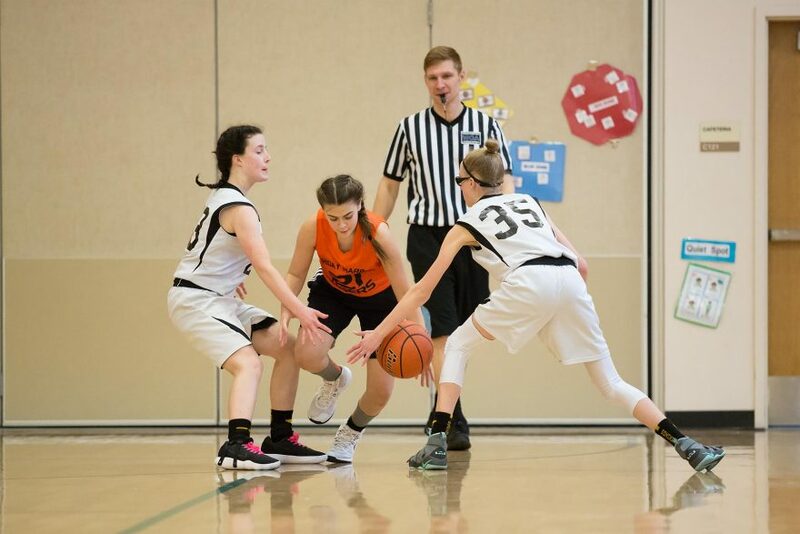 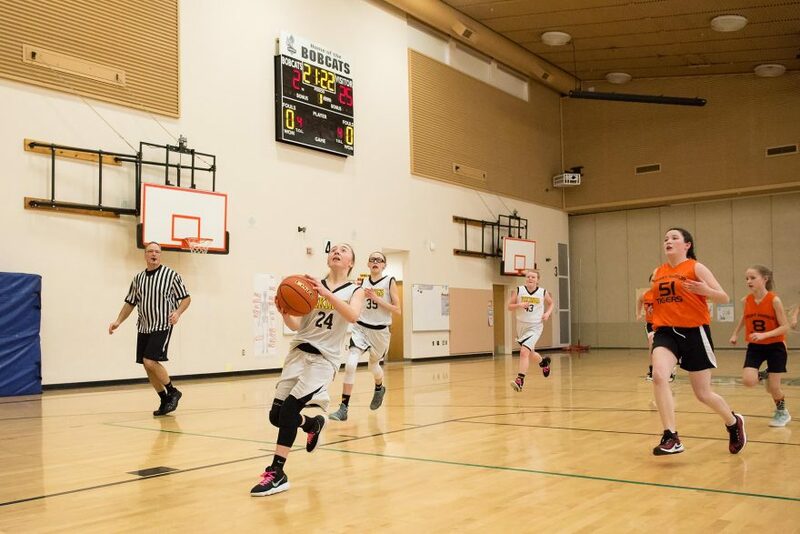 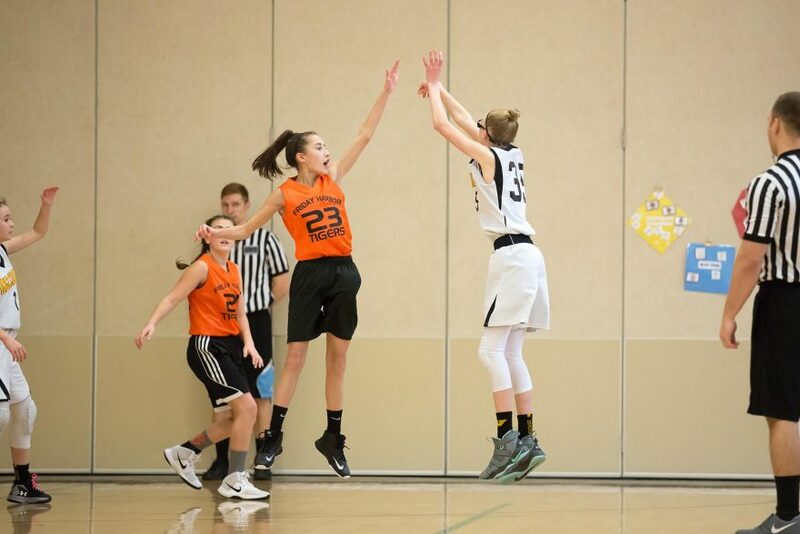 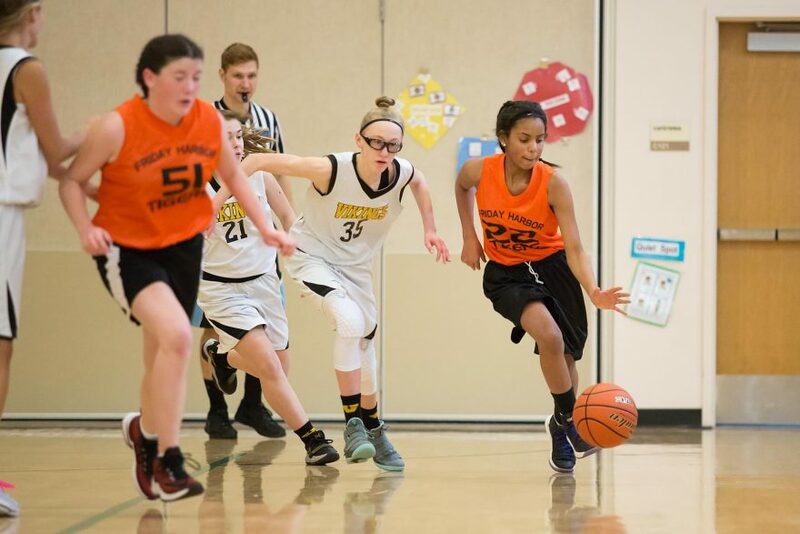 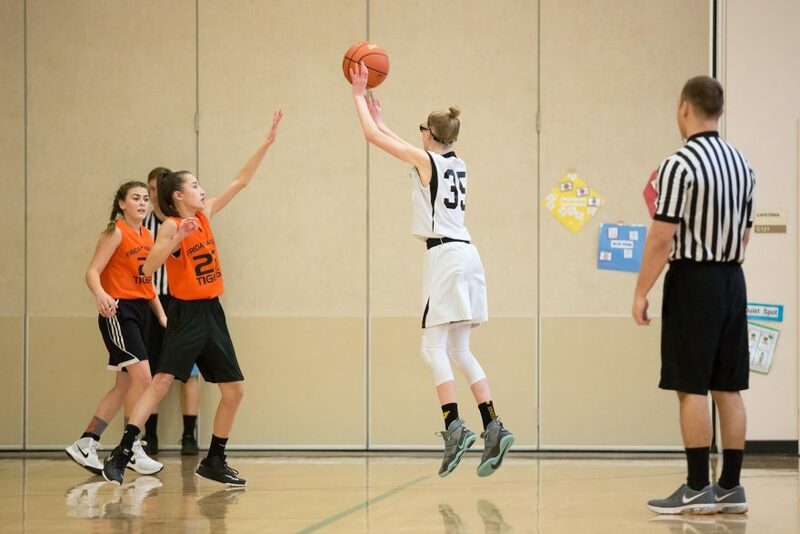 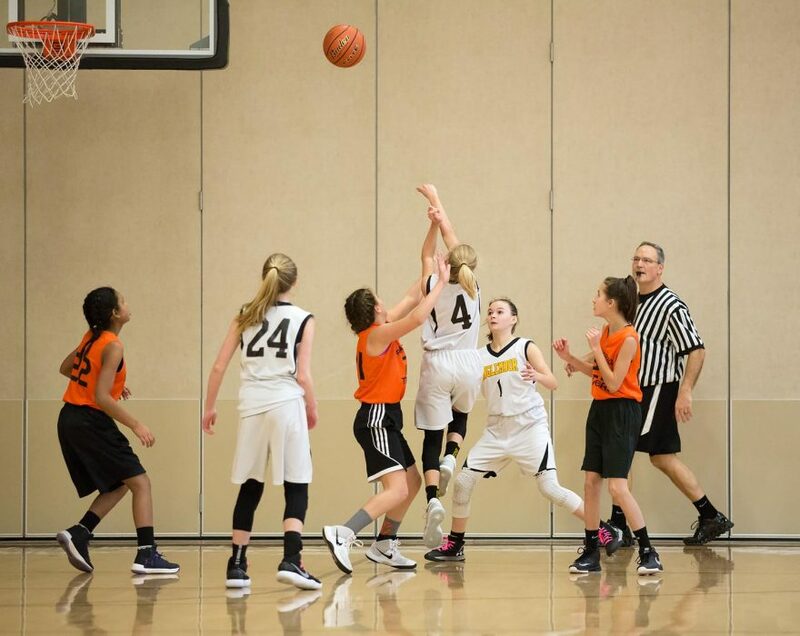 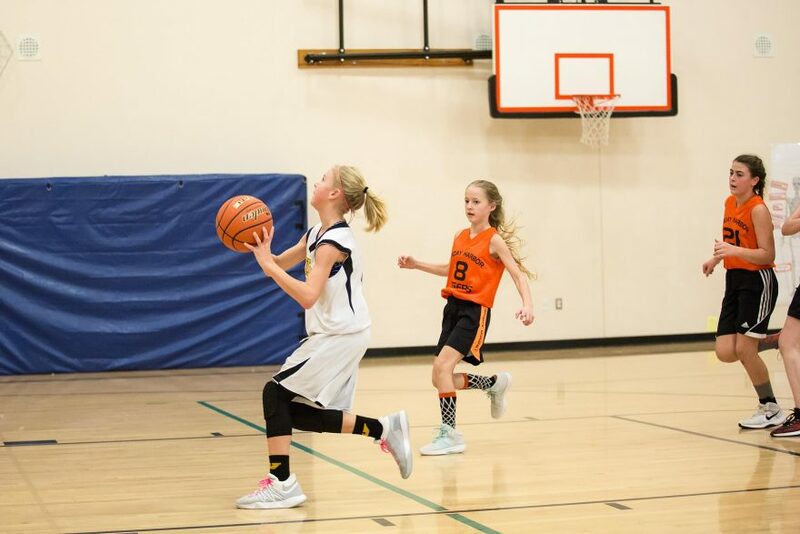 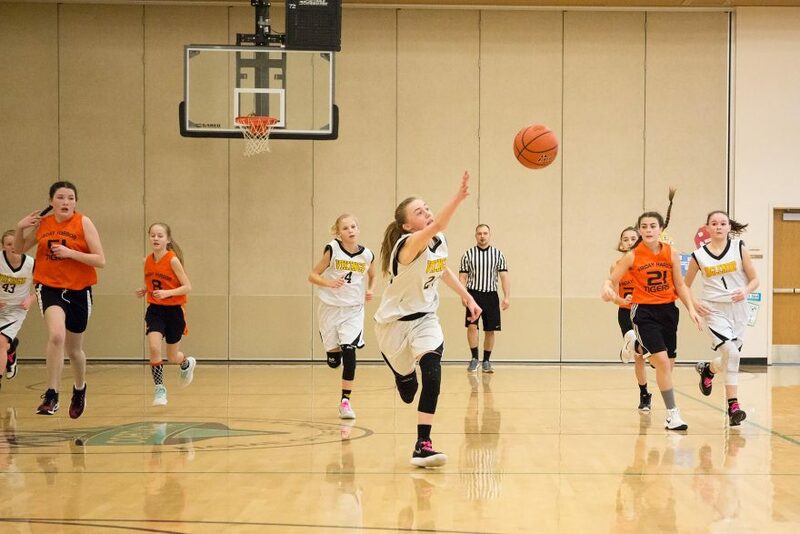 We’ve all seen what can happen in games like this: frustrated girls begin pushing, throwing elbows, and bad-mouthing their opponents and their own teammates. 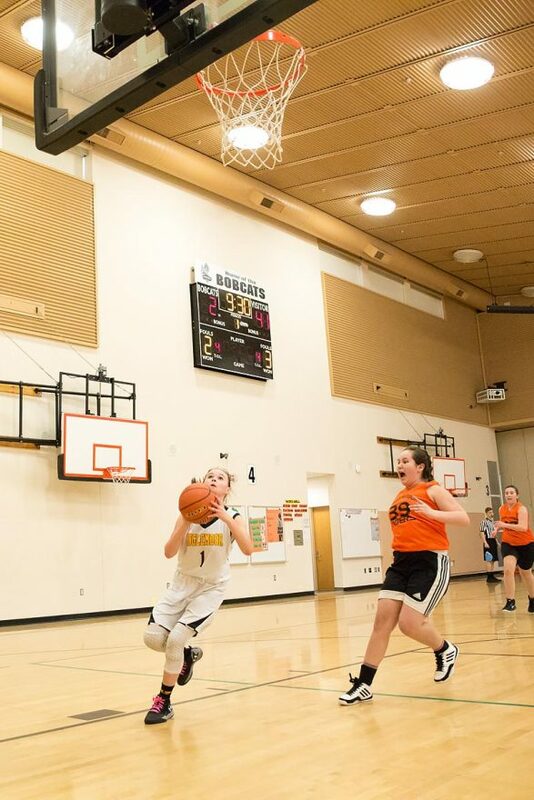 I saw none of this from Friday Harbor (at least, no more than many much closer games). 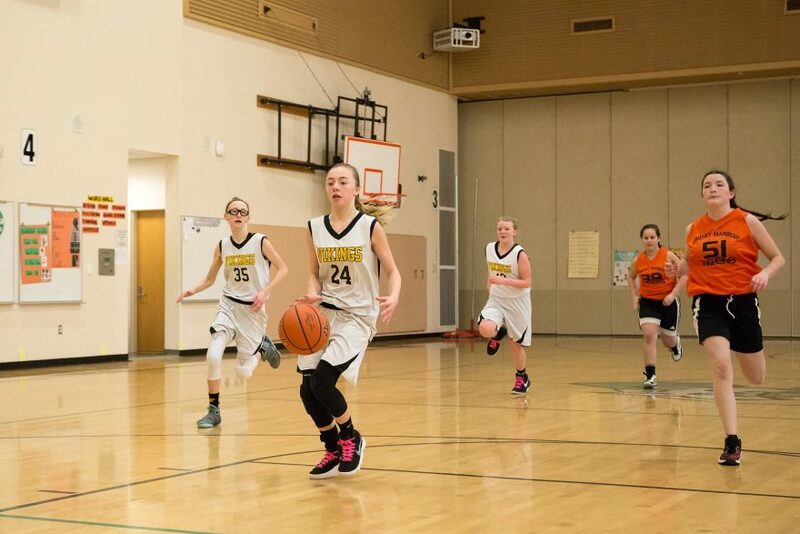 The girls played hard throughout the game, and walked away from the game with enviably positive attitudes, and not a teary eye in sight. 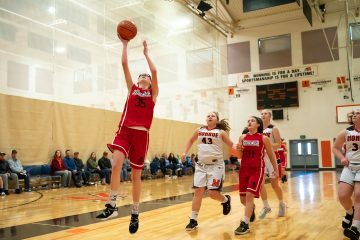 It was an admirable display of good sportsmanship, and it was a testament to the character of the girls and their coaches. 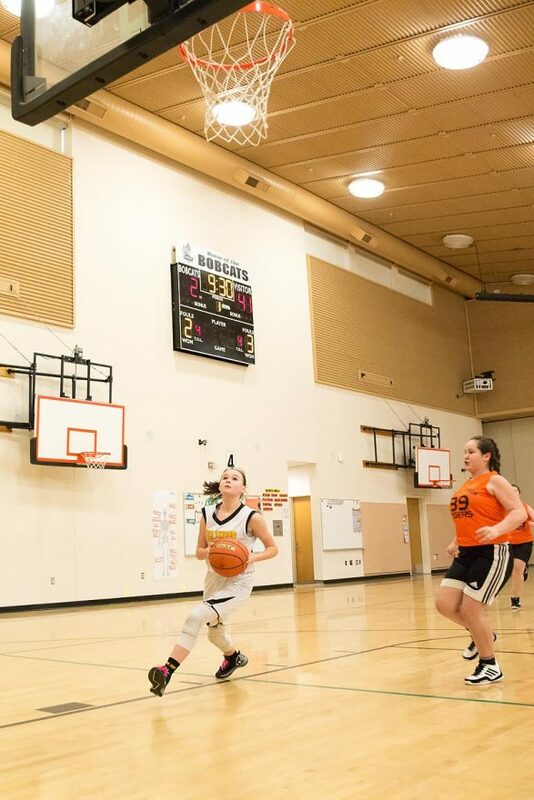 Well done, Friday Harbor. 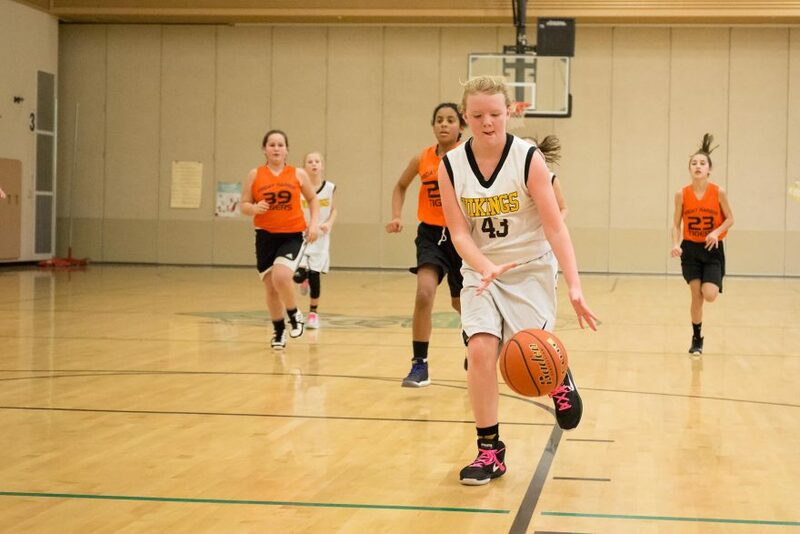 Final Score: 49-2, Inglemoor Vikings.